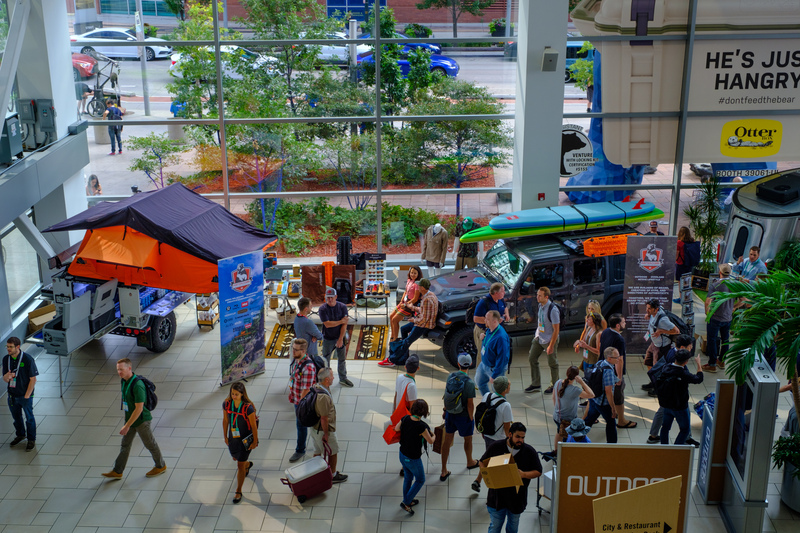 We’re here in Denver Colorado for the 2018 Outdoor Retailer summer show, and we’re happy to report that there is a flood of new products being unveiled for your next overland adventure! 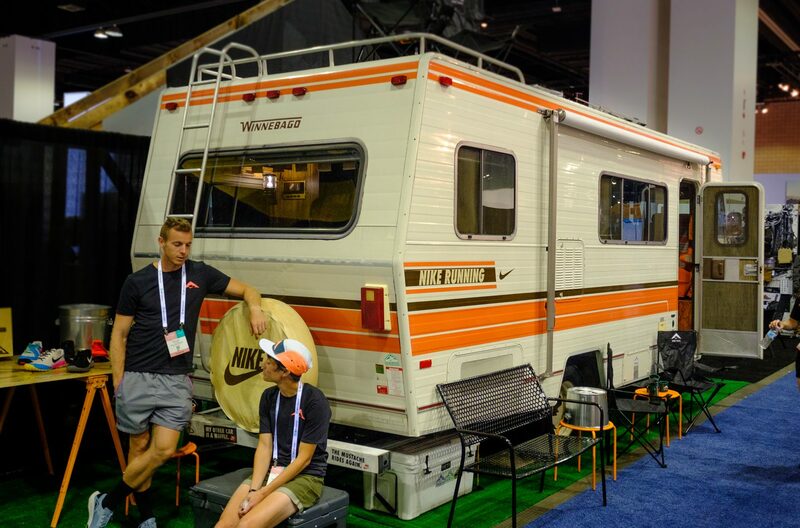 That’s right gear lovers, rejoice, for there are tents, bags, chairs, tables, lights, vans, and four-wheel drives for you to soak in at this year’s show. 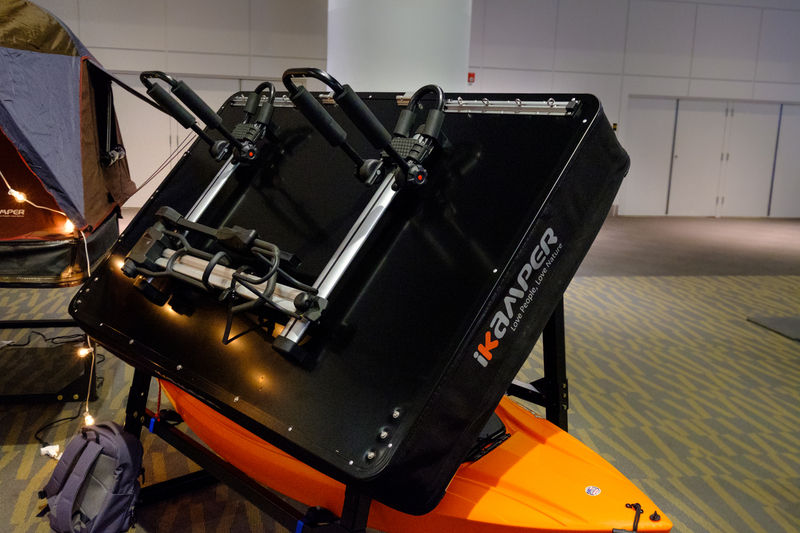 Truthfully, looking at the thousands of products on display can be a bit overwhelming, which is why we’ve narrowed it down to the newest and coolest equipment being released this year. Check them out below! 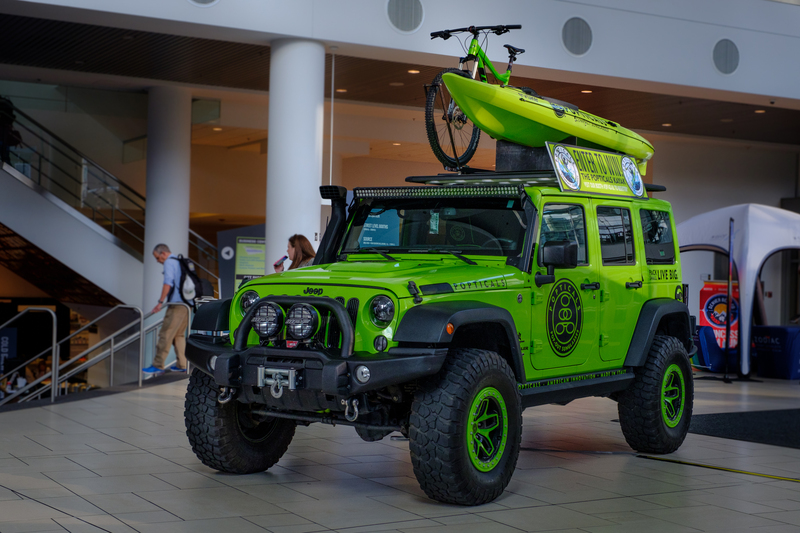 Yakima has been a long time leader in the rack and vehicle accessory market, but they’ve only recently delved into the world of off-roading and overlanding. 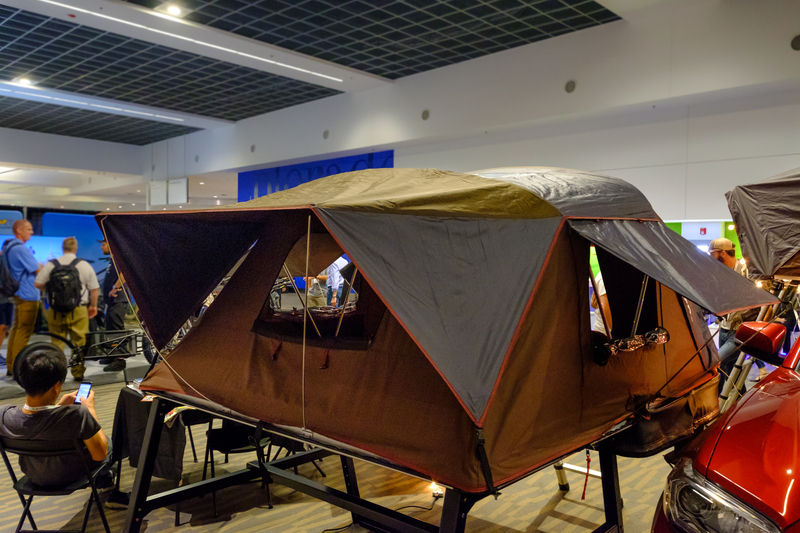 They made a valiant first leap with their previous generation roof-top tent, but we found it to be a bit underwhelming, with several notable issues. 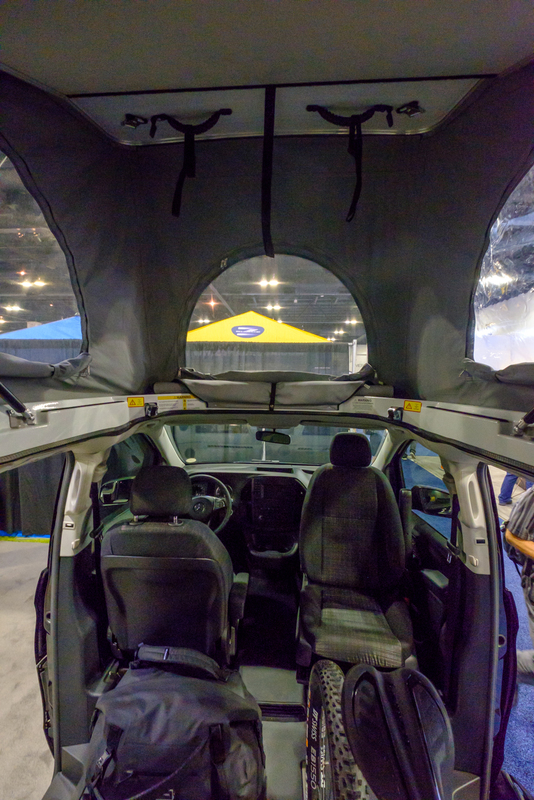 The big news this year is that Yakima has remedied those issues with their new SkyRise HD roof top tent. 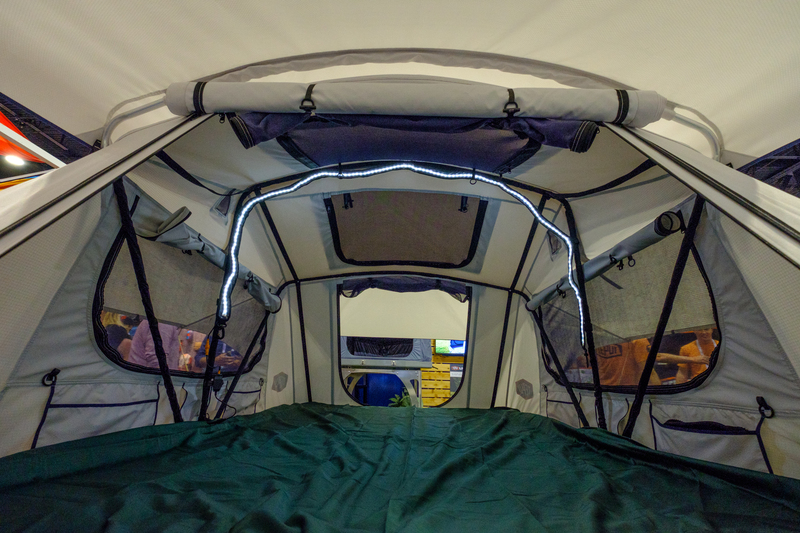 They wanted to make it a true four-season tent, so their first step was upgrading the fabric from a 210D to 600D waterproof breathable ripstop. They then reduced the number of seams, and completely overhauled the rainfly to better match the tent, and prevent the pooling of water in heavy rain. The rain fly also received new drip rings to prevent ingress at the base of the tent as well. 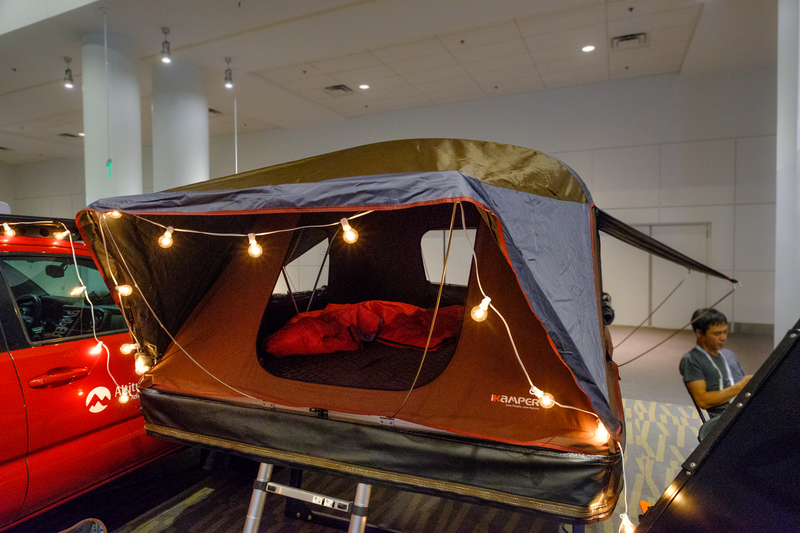 The frame was enlarged to make the tent more spacious, which was a desperately needed upgrade from the previous SkyRise. 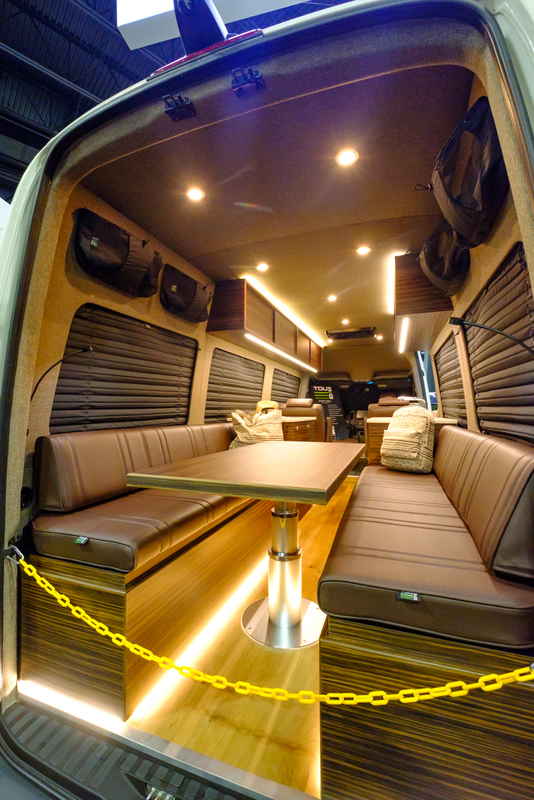 The roof is also taller, and small niceties have been installed like interior mesh pockets for gear storage and larger windows for increased visibility and ventilation. 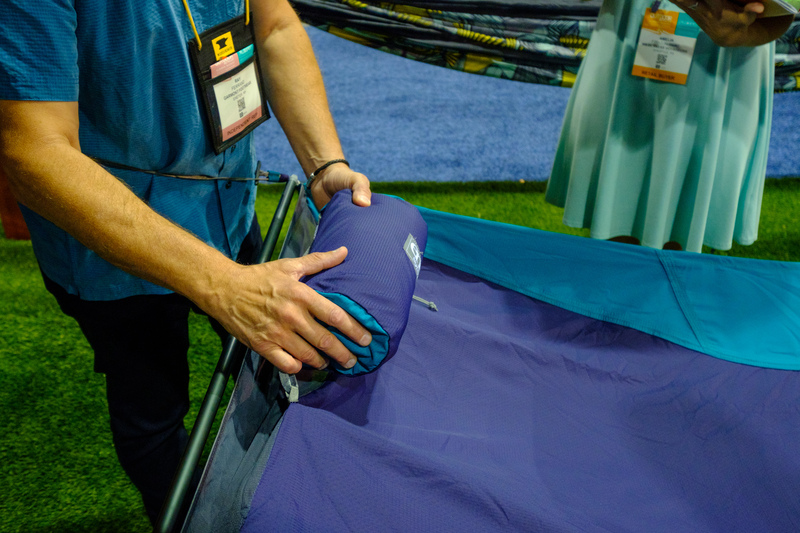 The mattress now features ripstop materials on both the sides and bottom for increased durability and longevity, and the ladder was changed out for an auto-release model that only requires you to push in the slide button once instead of at every notch. 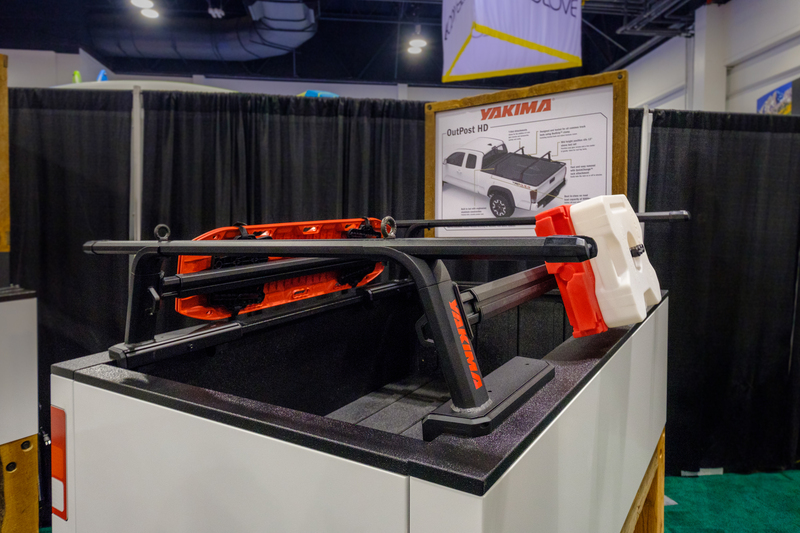 Yakima also unveiled some brand new heavy-duty truck bed racks intended for overland and off-road use. 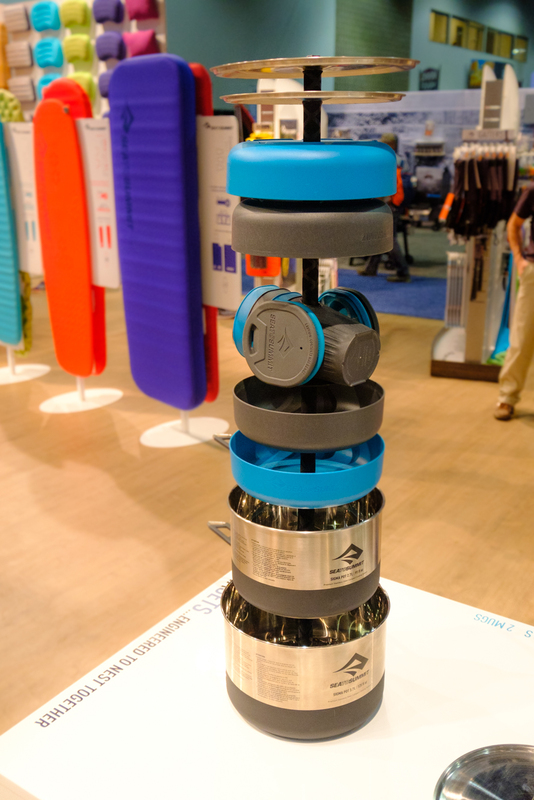 They actually went as far as designing an entirely new set of testing procedures just for this product line so that they could be sure the racks would hold up to the abuse. This resulted in their first ever off-road weight rating, which for these racks is 300 lbs, with 500 lbs on pavement. 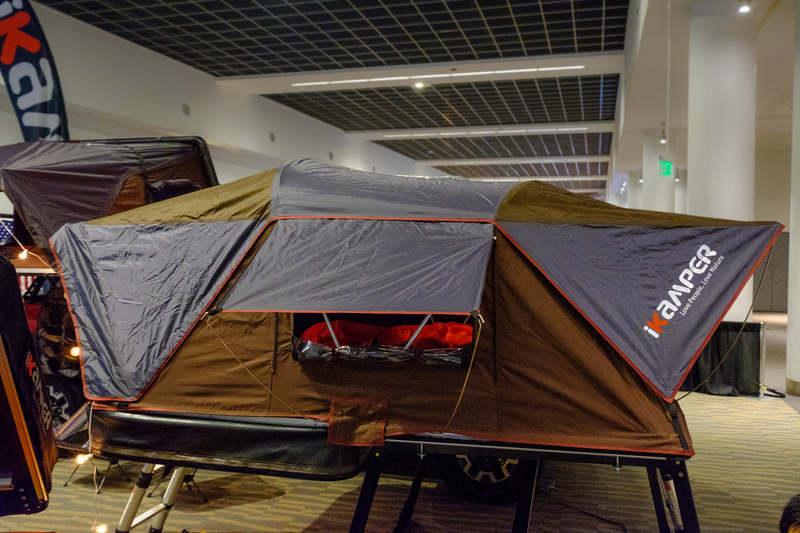 That is the kinetic, or moving load of course, so you don’t need to be afraid to climb into your roof tent after a few too many s’mores. These racks will carry the company’s lifetime warranty and come equipped with integrated tie-down points and room to mount accessories. They even fit Toyotas and Nissans with factory track mounts in the bed, and can be paired with select tonneau covers for secure storage. Several styles will be available. The adjustable “Overhaul” model can be raised to 30″ to match a cabover rack’s height, or lowered to 19″ to tuck the cargo out of the wind. It carries a price tag of $899 USD. 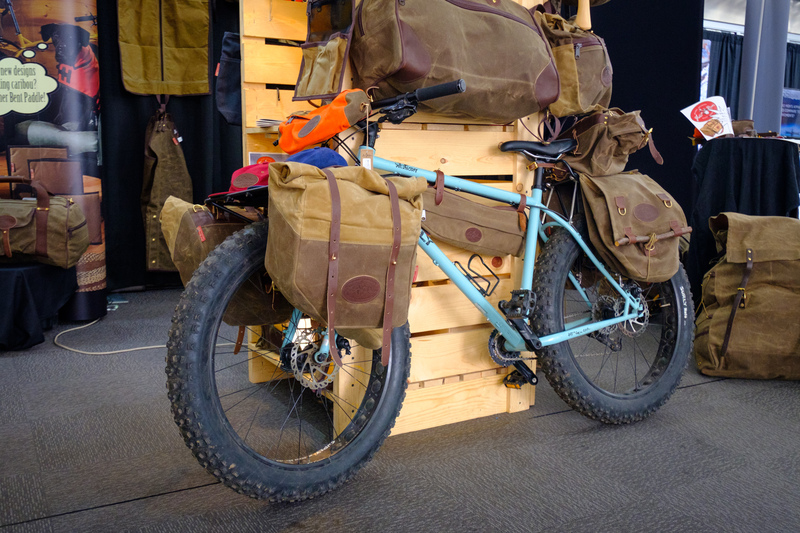 The “Outpost HD”, their first rack designed specifically for overlanders and RTTs, sits at 13″ tall. 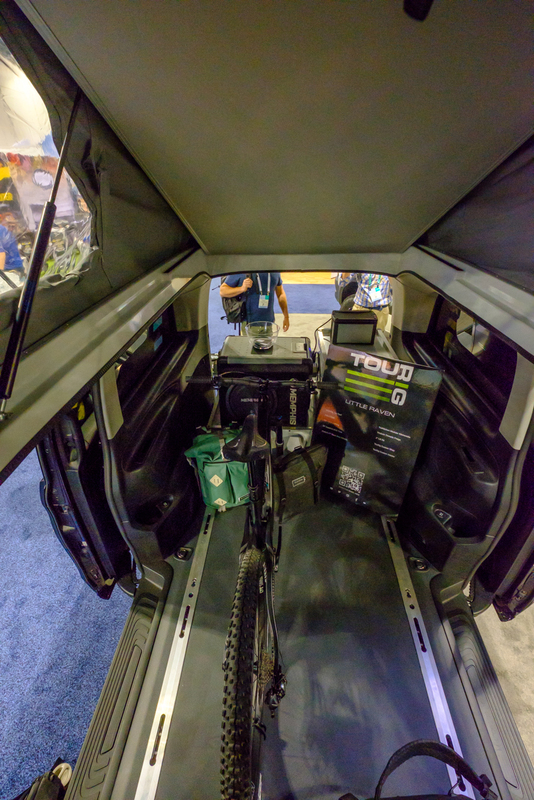 the ideal height for most tents to sit behind the cab. It will retail for $699 USD. Both can be equipped with accessory bars on the sides for shovels, maxtrax, and other gear, which will sell for $199 USD a pair. The third option is the flush mount using just the heavy-duty cross bars on the truck bed or your roof rack. Those can be seen below. 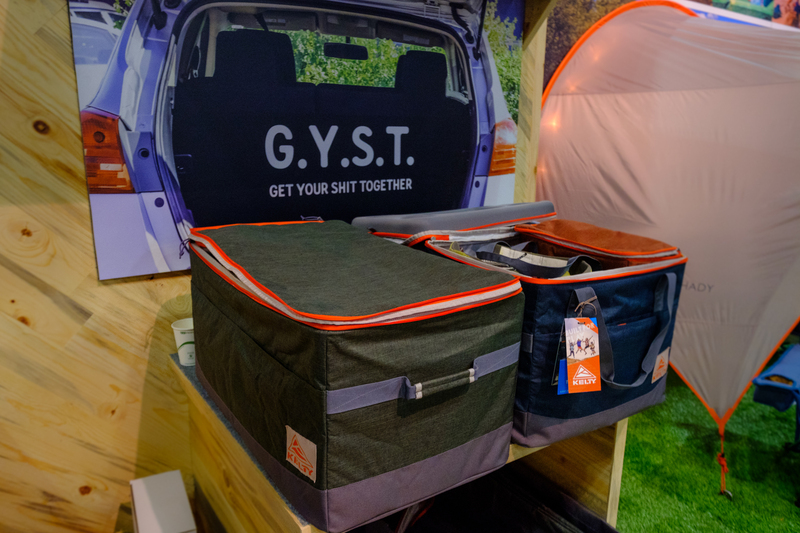 The tent, racks, and other accessories are set to launch in early 2019. To learn more, check out their website here. 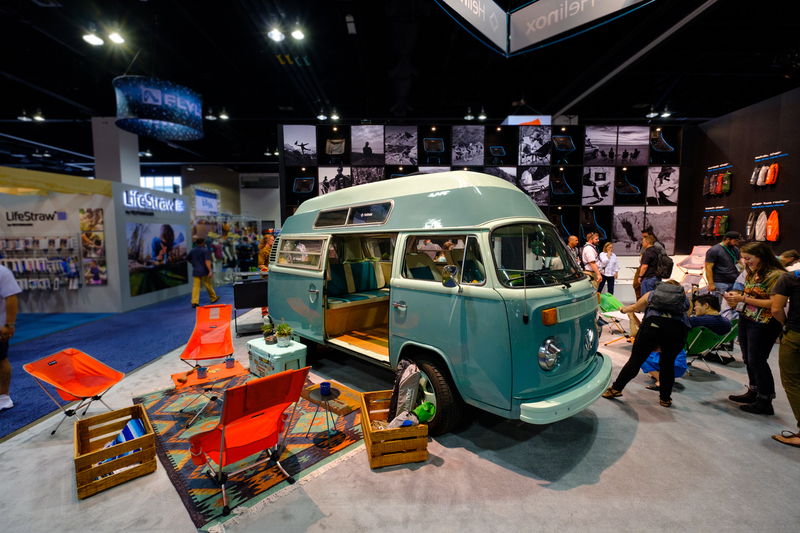 #Vanlife is all the rage, but the most iconic platform, the VW Westy, hasn’t been produced for years. Those crusty Vanagons often fetch outlandish prices, and then wage constant warfare on their owners wallets with repair after repair. 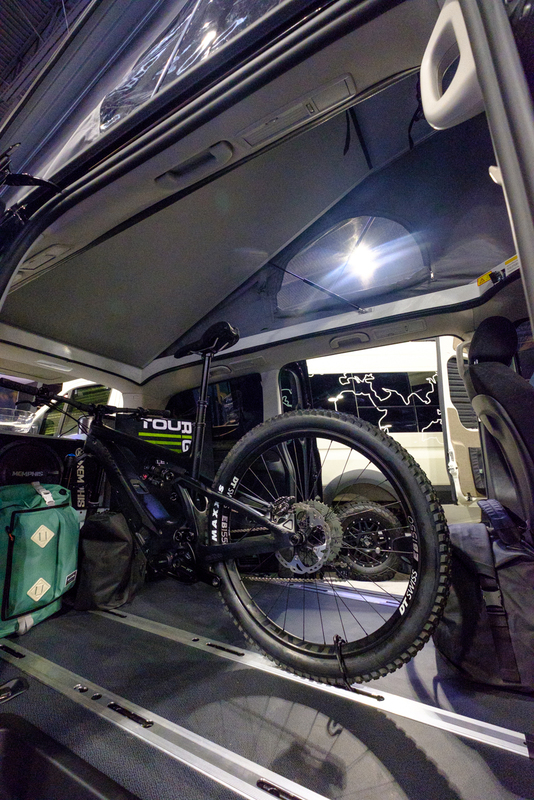 If you’d like an affordable and comfortable alternative that can actually take you on an adventure and make it back again, then TourRig has the van for you. It’s based on the Mercedes Metris, which starts at just $25,000 USD NEW. 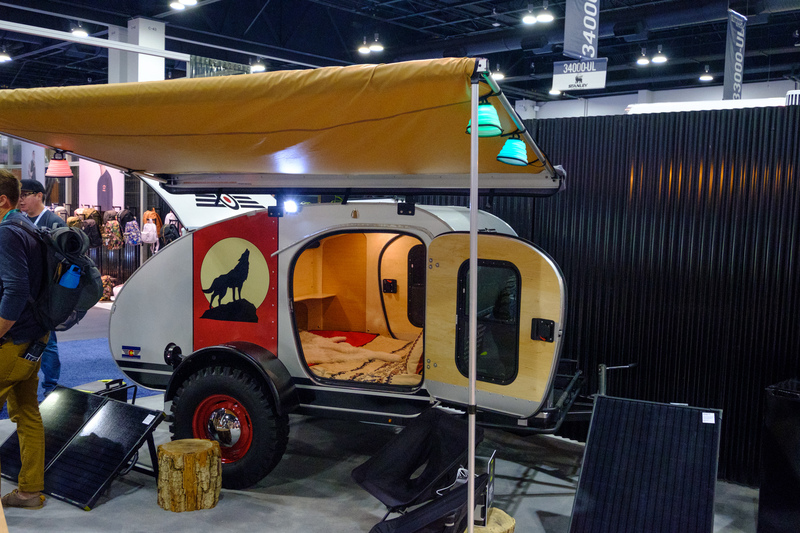 The TourRig pop-top conversion will cost you another $10,450, which puts you out the door for less than many new four-wheel drives, and even used VW vans. 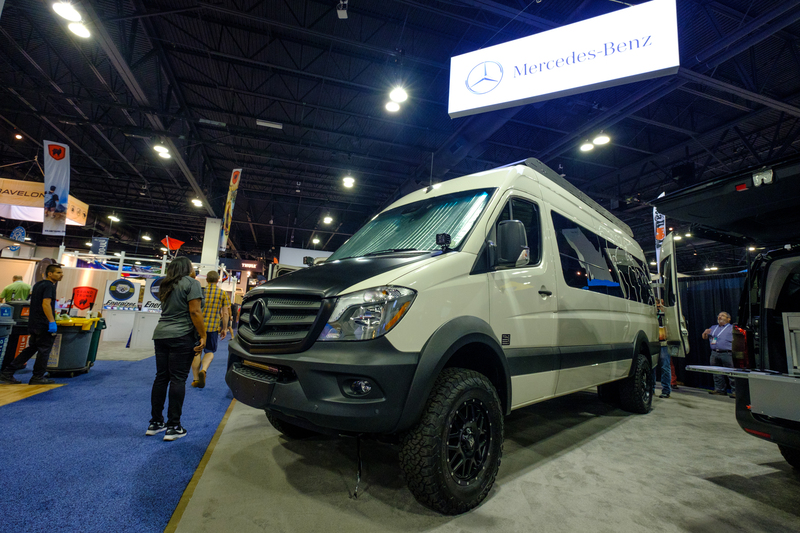 After that you can add a lift, tires, and whatever interior package you want to make this Mercedes your home on the road. 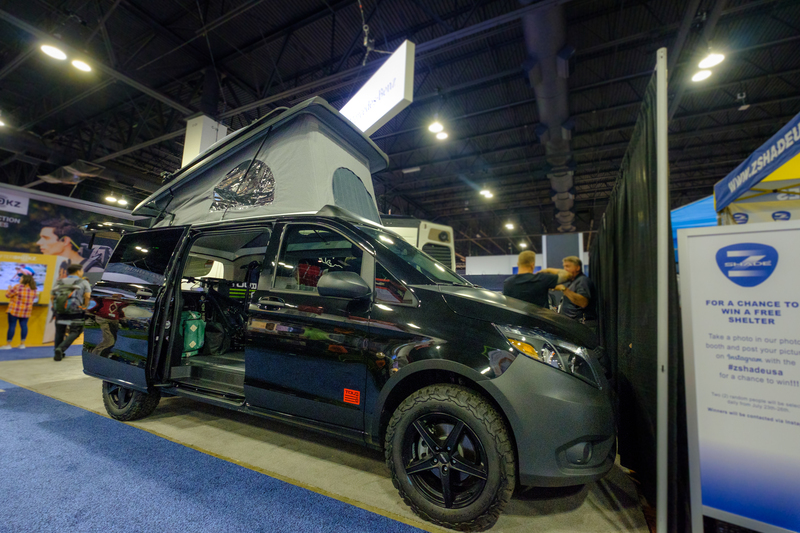 The Metris shown here has a custom slide out kitchen in the rear, bike mounts, swivel seats, a 1″ front and 1.5″ rear lift, 225/65/17 KO2s, and a total height with a roof rack that will still fit in your garage. Price out the door? Just $65,000 USD. Lear more on their website here. I would be shocked if we didn’t all know about Luci Lights by now. These solar powered beauties have graced most of our dashboards at one point or another, and ours continue to serve admirably even after years of abuse. 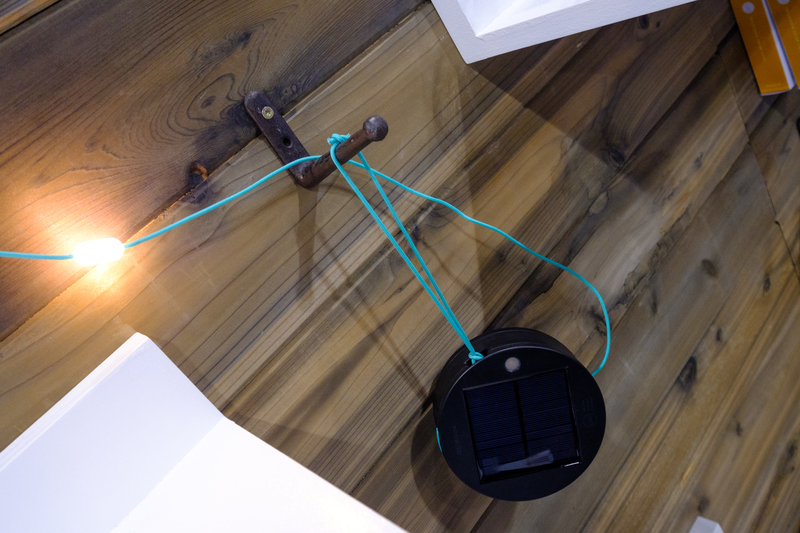 Now we have a new option from them to lust over, solar string lights. This clever product features a hard case which pops open to reveal a neatly wrapped core of LED lights. 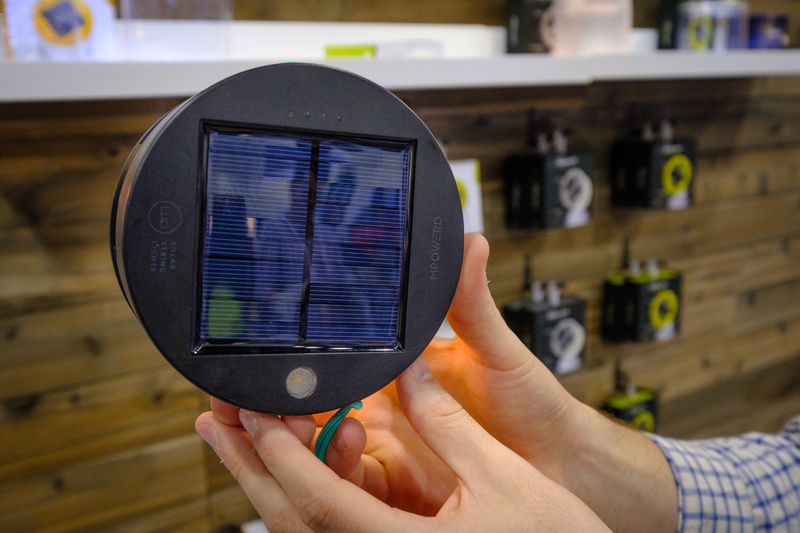 It charges via the sun or USB, and the USB plug can be used to charge your phone or other devices on the go. There is also a battery indicator to let you know how much life your lights have left, and they can be run in low, medium, or high modes depending on your needs. 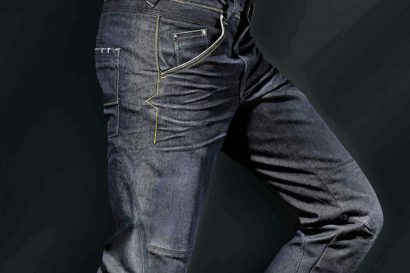 As with all of their other products, this one is completely water proof so you never have to worry about rain or dust. Pricing is set to be around $35 USD, and the string lights will begin shipping out in October. Pardon me while I geek out and celebrate this achievement. 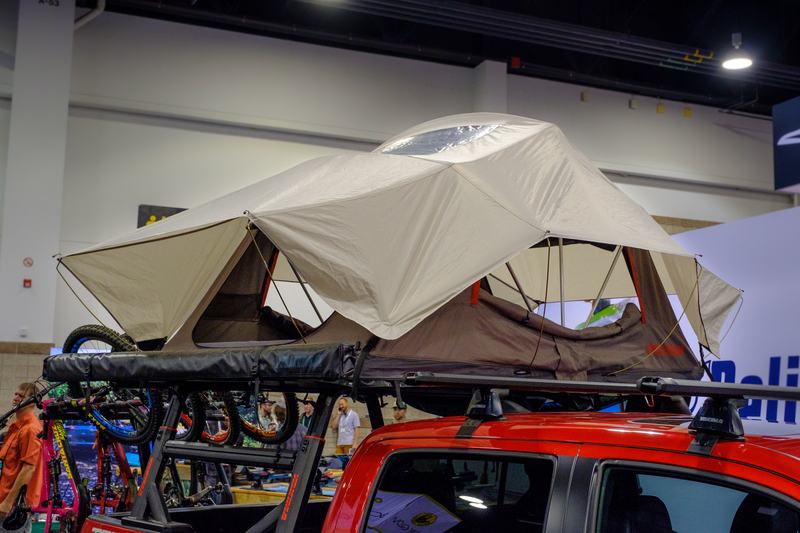 For the last several years we’ve been waiting for someone to ditch the worst part of soft-shell tents, the cover, and now iKamper has finally done it. This creative tent simply features a zippered mid-section, and uses the tent’s solid base as a roof when stored. We’ve made arrangements to bring this one back for testing, and look forward to providing a full report on its performance in the future. 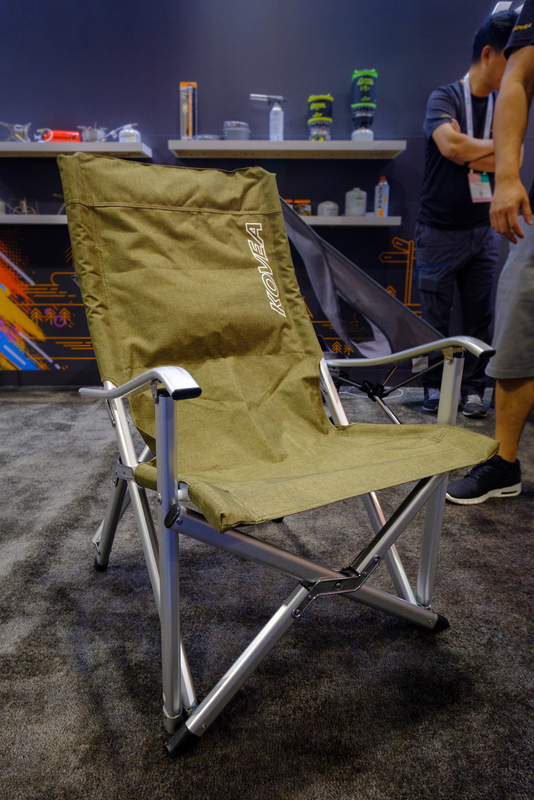 Dometic has been making big waves in the overland market recently, and their latest products are sure to make a splash far outside of it as well. We’ll start with the new CFF fridges, an affordable offering that cuts out some of the fancy features like blue-tooth and phone charging in exchange for a lower price point. 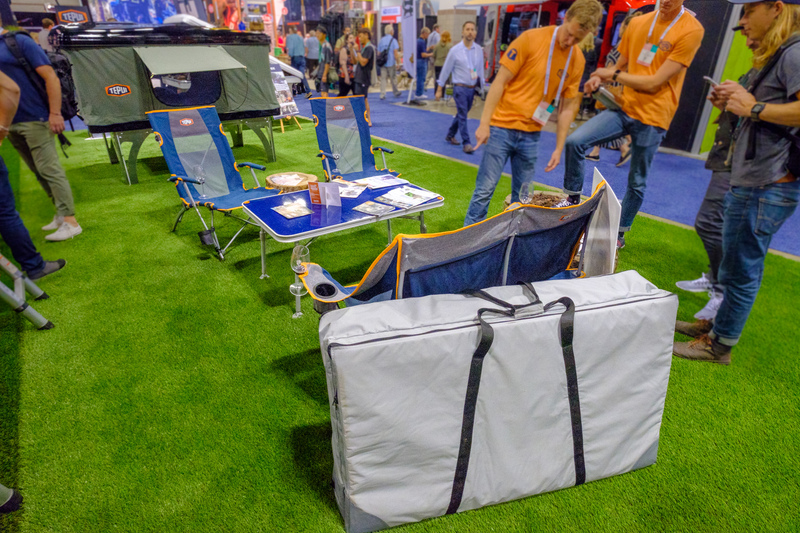 At an initial list of just $699 USD, it is encroaching on the price point of large Yeti coolers, undoubtedly an attempt to poach some new buyers from that segment. The CFF will come in two sizes that share the same footprint, a 35L and a 45L. 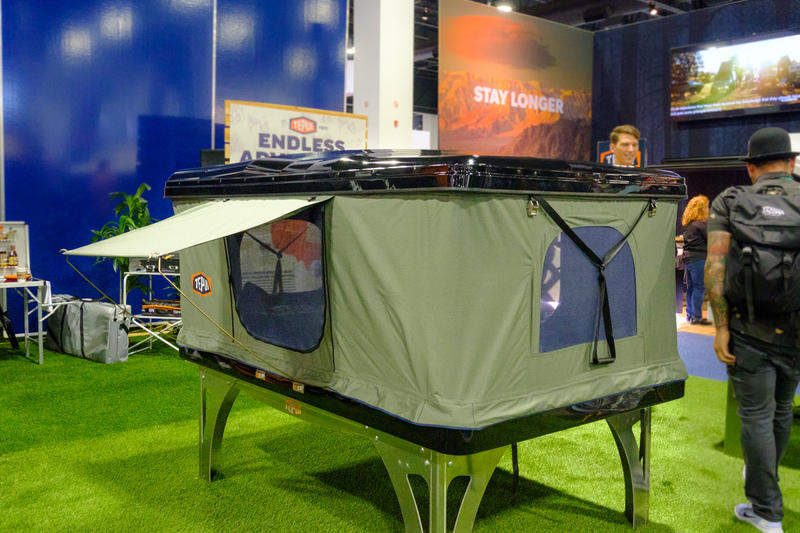 Of course it still features all of the great efficiencies and prowess of the other Dometic products, which they were happy to showcase in some innovative ways. 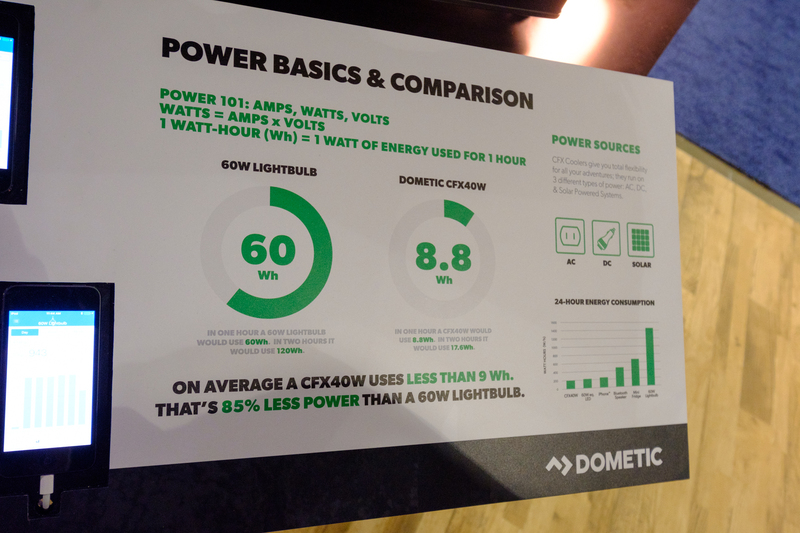 My favorite was the average power consumption of a Dometic fridge vs a 60watt light bulb. Impressive. 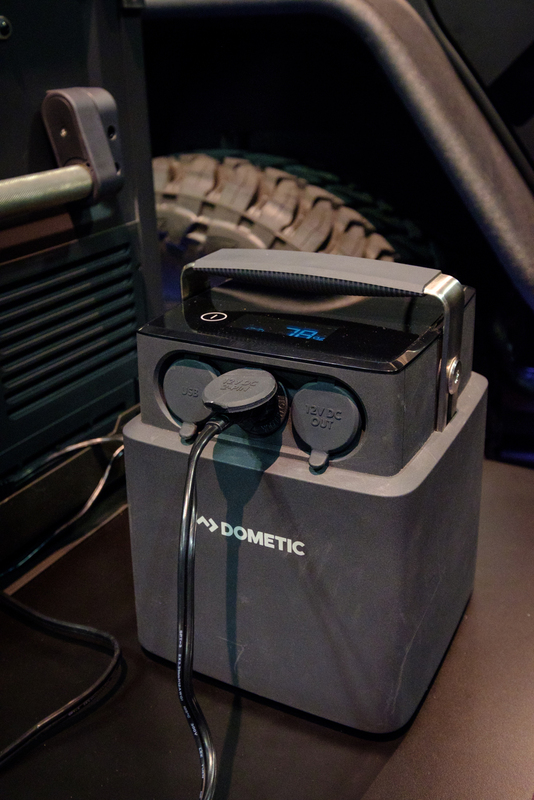 The other big news is Dometic’s PLB40 portable battery pack, which is designed specifically to power your fridge, eliminating the need for a dual battery system. This LiFePo4 lithium ion battery produces a true 12.8V at 40AH / 500Wh, and includes an integrated battery management system to handle all charging and discharging while protecting the battery. Why should you care? 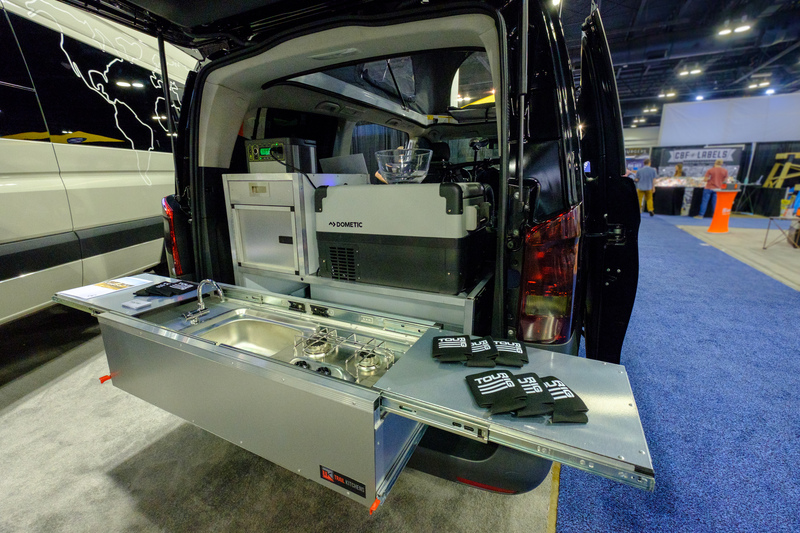 Because that means you can throw your solar panel on the standard Anderson connection without a charge controller, charge from the 12V in your vehicle while your fridge is still plugged into it, or discharge your battery to nearly nothing without worrying about damaging the life. It also gives you an accurate percentage of useable battery life remaining, which few other products accurately predict. The PLB40 Carries an IP44 rating for weatherproofing and includes two usb charging ports, a standard 12vdc output, and a 12v dc twin prong output designed for the Dometic fridges. Pricing is estimated at $749 USD. 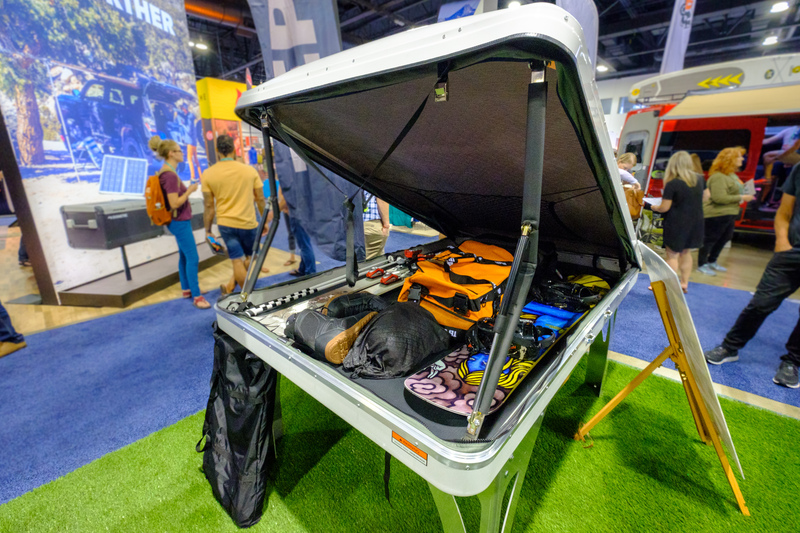 The other day I was talking to my girlfriend about how nice it would be to have a removable interior on a roof-top tent, that way you could store snowboards, climbing gear, and other goodies up there when you’re not camping in the tent. 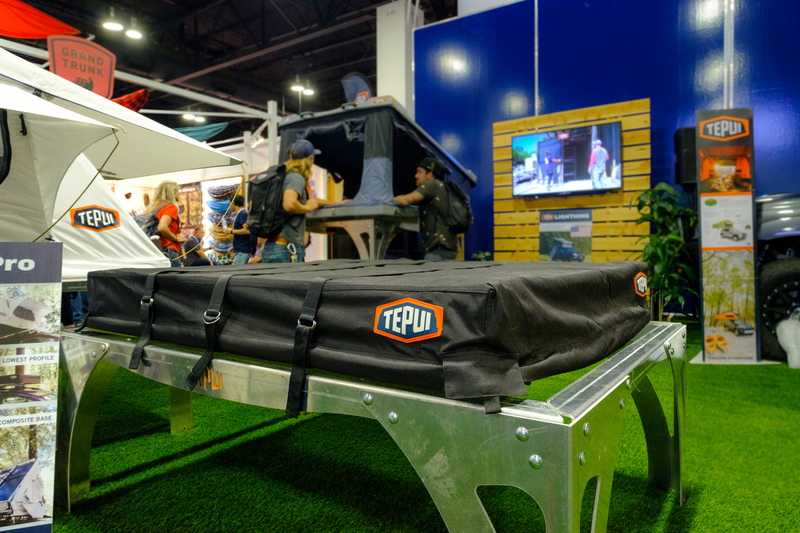 Well, I’m not sure if Tepui was reading my mind, but their new Hybox tent is designed for exactly that. 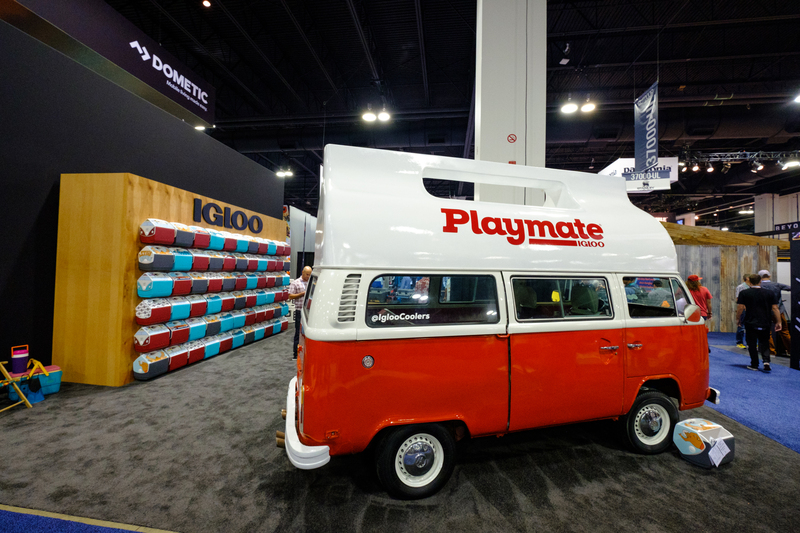 The tent material zips off, and the mattress slides out to provide a full cargo box for all of your hobbies and adventures. 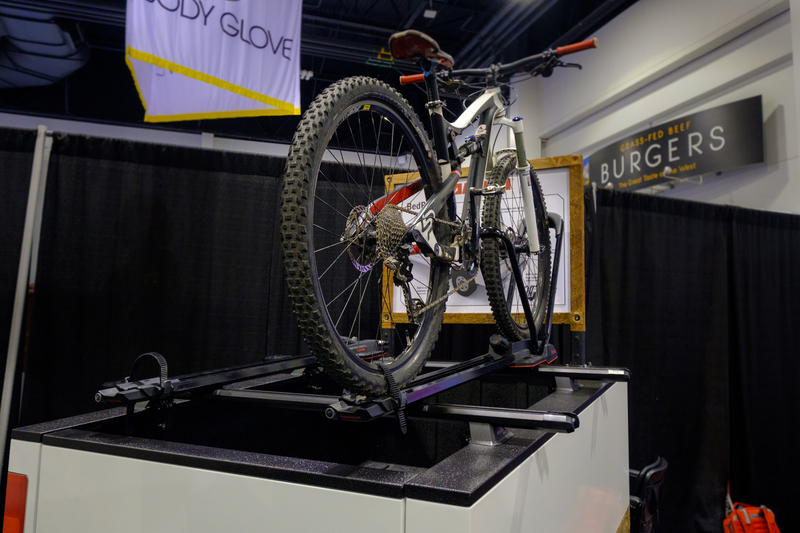 It weighs 150 lbs, has an 81″x 51″ bed, and will cost around $2,800USD with a September release date. 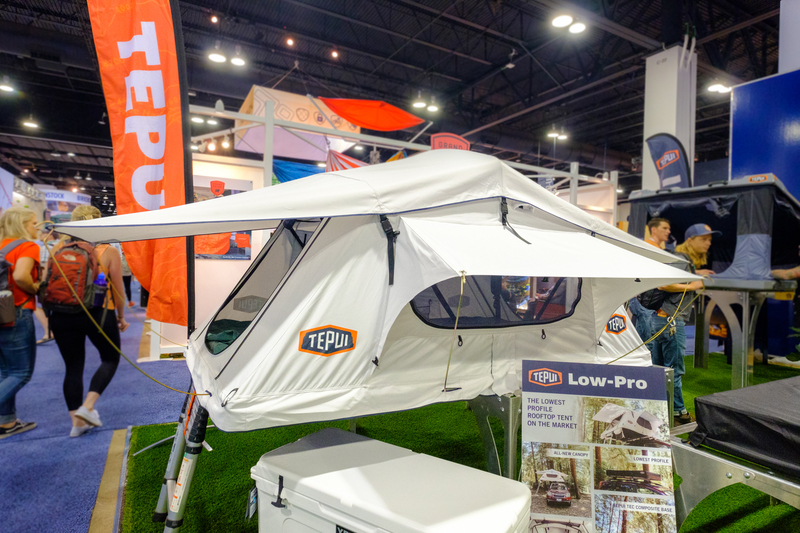 In addition to the Hybox, Tepui has released what they claim is the thinnest tent on the market, the Low Pro. (Go Fast Camper’s tent is claimed to measure in a little thinner, so we will have to personally check out both to be sure.) 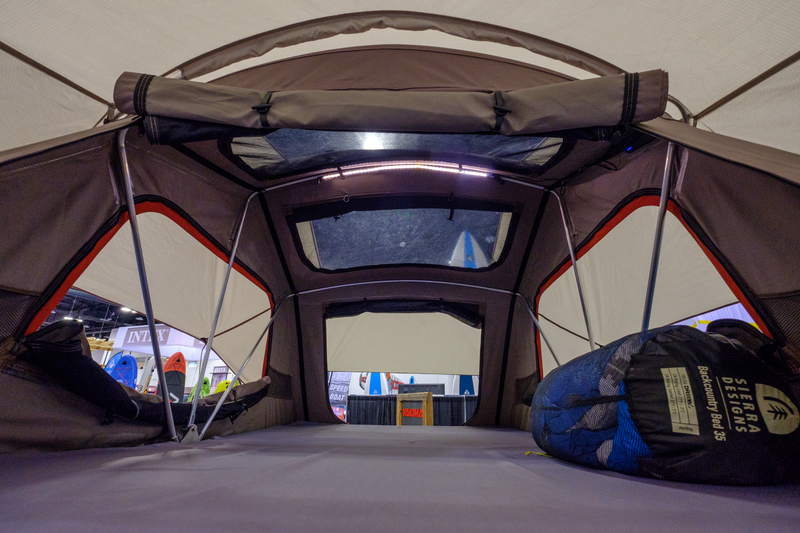 At just 7″ thick though, this soft-shell roof-tent is certainly one of the thinnest on the market. 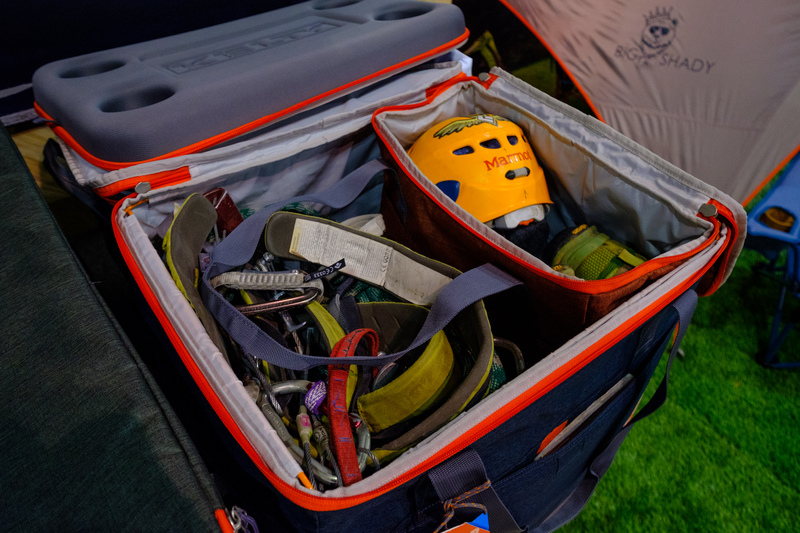 It features a new lighter tent material, sturdy non-PVC cover, and an all new tech-base that has better insulating properties and is designed to take abuse without scratching or denting. 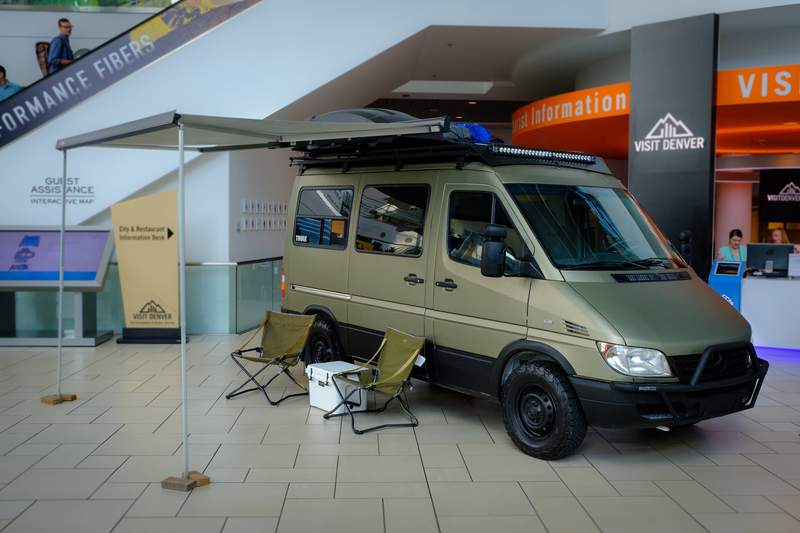 We also must admit that despite how bad of an idea white would probably be on a roof-tent, it looks really good on the showroom floor. Pricing will start at $1,625 USD, and will likely mirror the September release date. 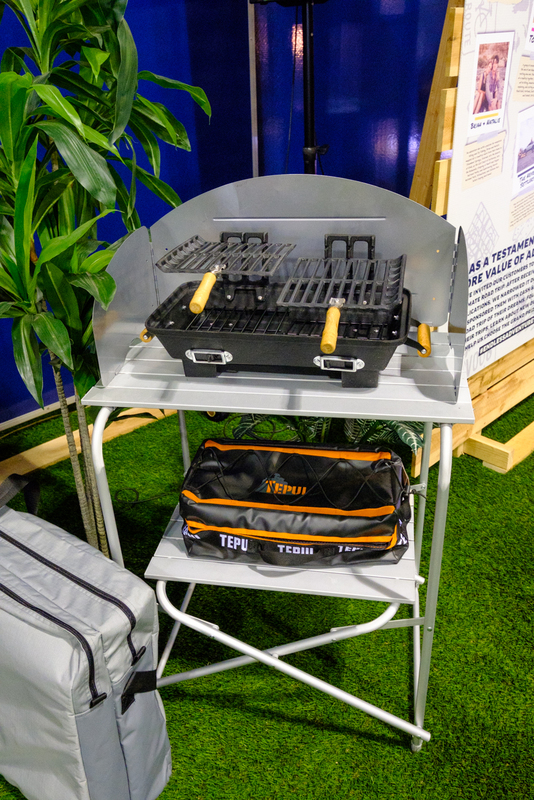 I’ll also make brief mention of the new lounge and kitchen kits Tepui will be selling. 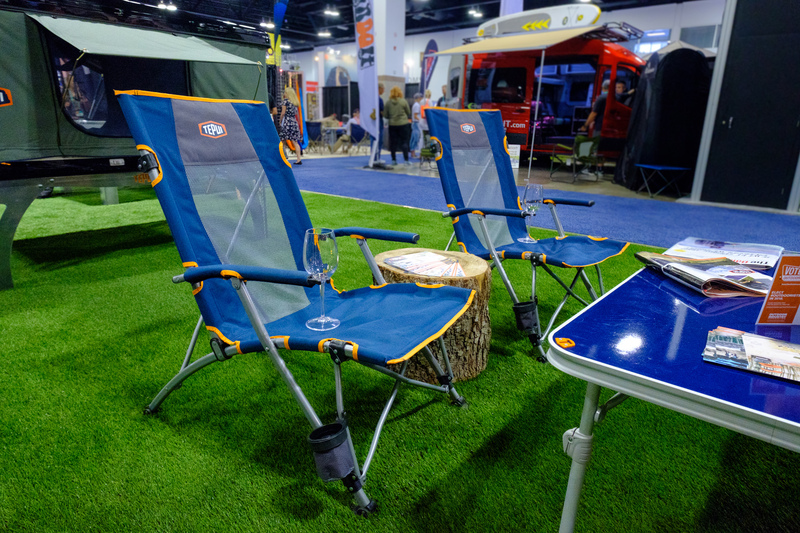 They’re quite comprehensive, and the chairs are especially nice, but our favorite part is that they all fold into a bag which fits in their hard shell tents closed. Who doesn’t love nesting gear? 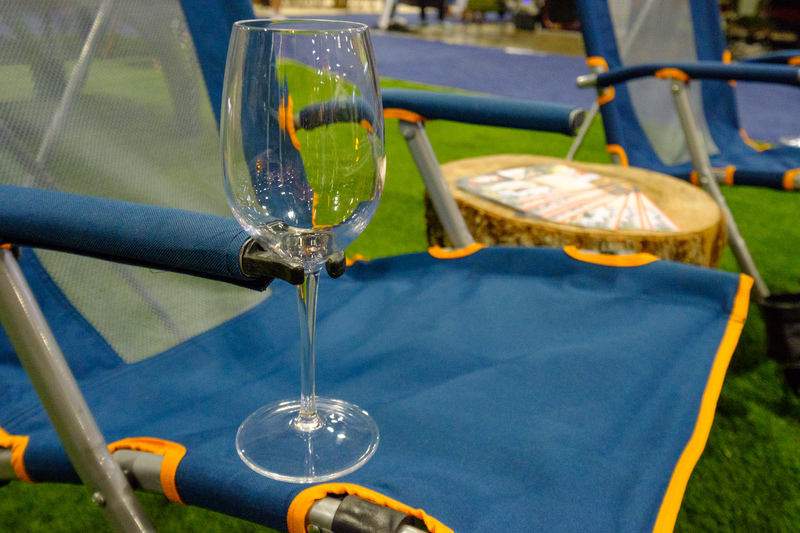 Also yes, those chairs are designed to hold wine glass stems as well as cups. 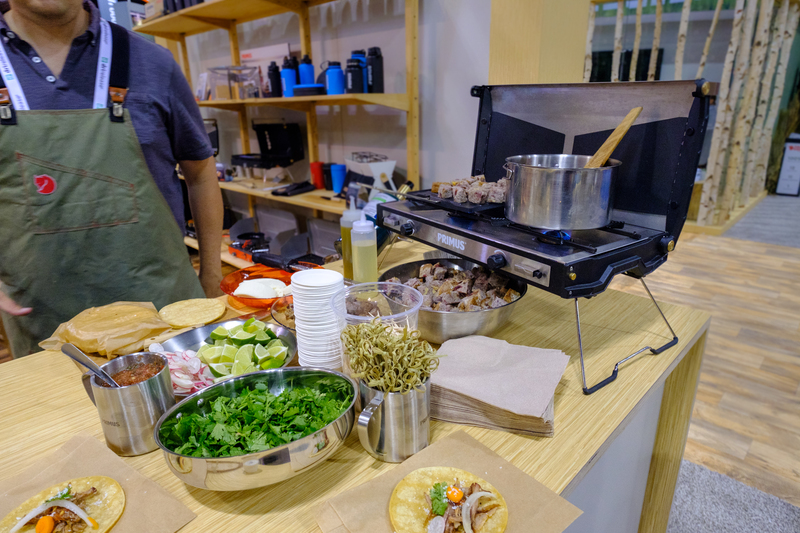 We received a Kovea stove for testing earlier this summer, and immediately fell in love with it, so when we saw them at Outdoor Retailer, we knew we had to see what else was cooking. Our two new favorites were this easy to set-up table and chair. 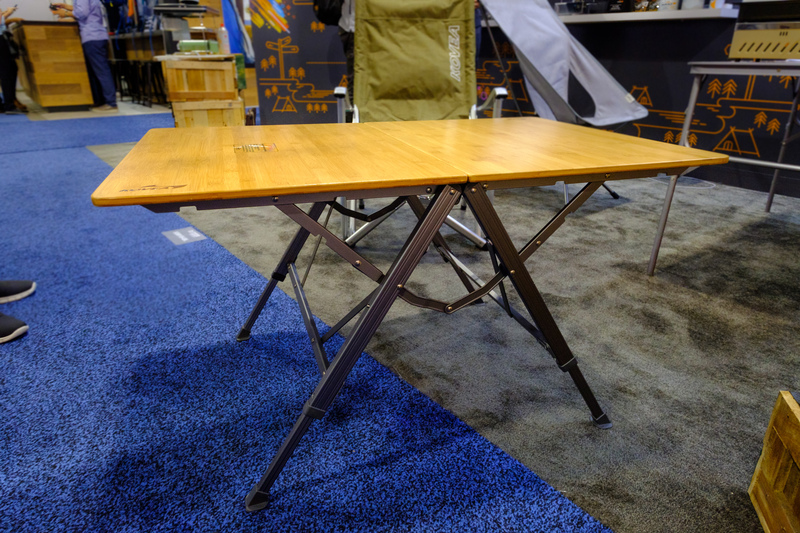 The table feels sturdy and can be adjusted to two different heights to match your desired seating position, but most importantly it will fold down in one easy motion. The chair operates on the same mentality. It’s spacious and exceedingly comfortable, but one tug upwards and it folds into a thin cylindrical shape. 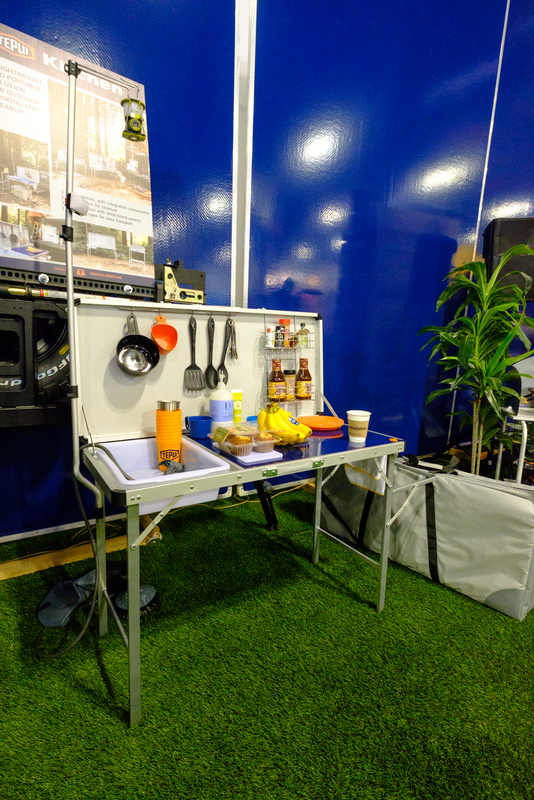 Of course neither product is as small as the options from companies Helinox, but they are certainly quicker to setup and breakdown. 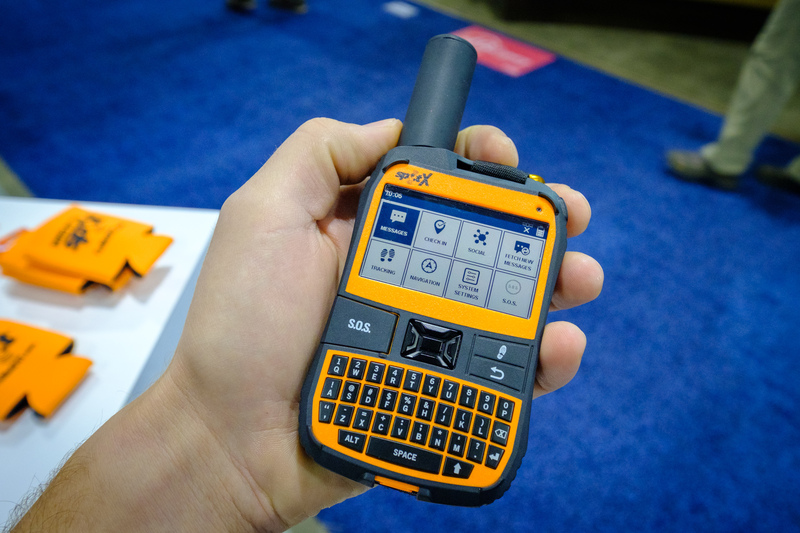 Spot has been a big player in the back-country rescue and communications game for some time, but their product line was missing a key aspect, two-way communications. That has all changed with the introduction of the Spot-X. It features a 2.7″ backlit display with a fully illuminated QWERTY keyboard and a blackberry style interface. 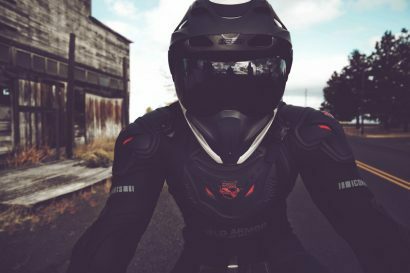 It is IP67 rated as impact, dust, and waterproof, and utilizes a lithium ion battery which will provide ten days of continuous tracking when cycling on ten minute intervals. 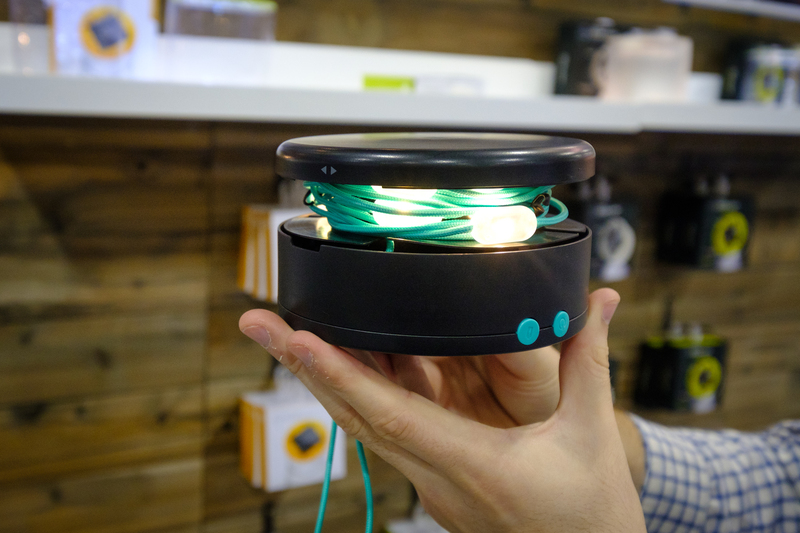 With the SpotX you can now exchange messages with loved ones on their cell phones, post your current position to social media, utilize a built in compass and programmable way points to navigate, and of course check in or send for help with the S.O.S. feature. Pricing is set at $249, and plans start at $19.99 a month. Wow, that’s a lot of reading about products. 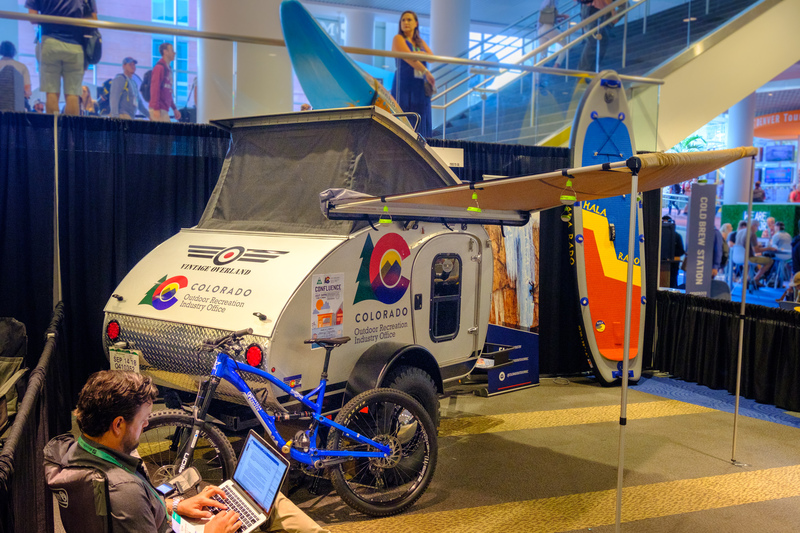 Lets break up this article with a few cool trucks, food, and other fun things we spotted at the event. 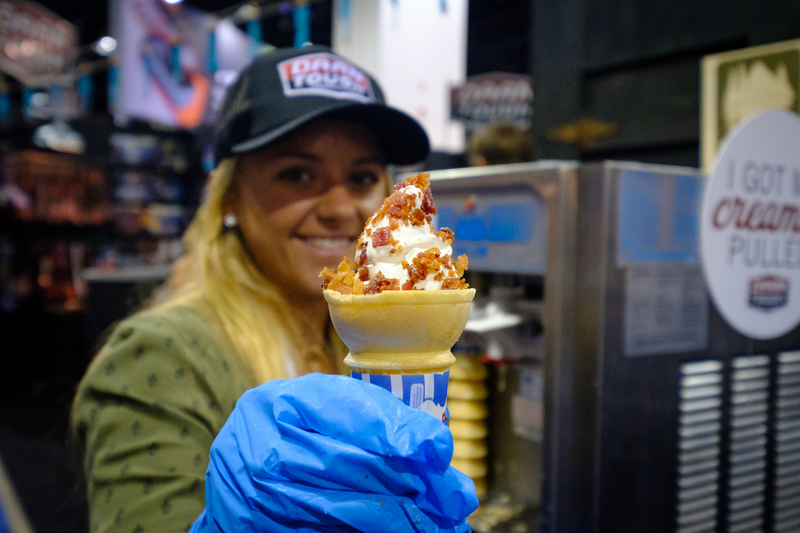 Maple ice-cream sprinkled with bacon? Yes please! Thanks Darn Tough! 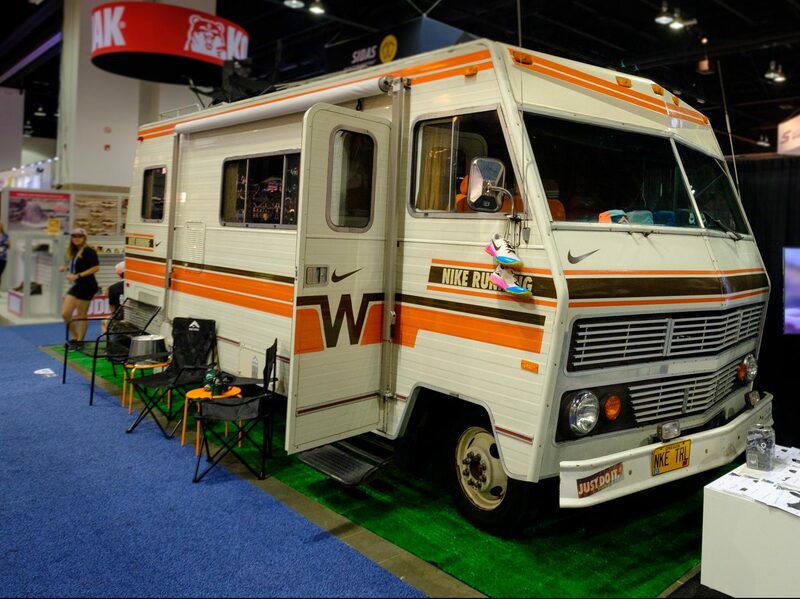 Nike went full 70’s on us, and we are loving it. 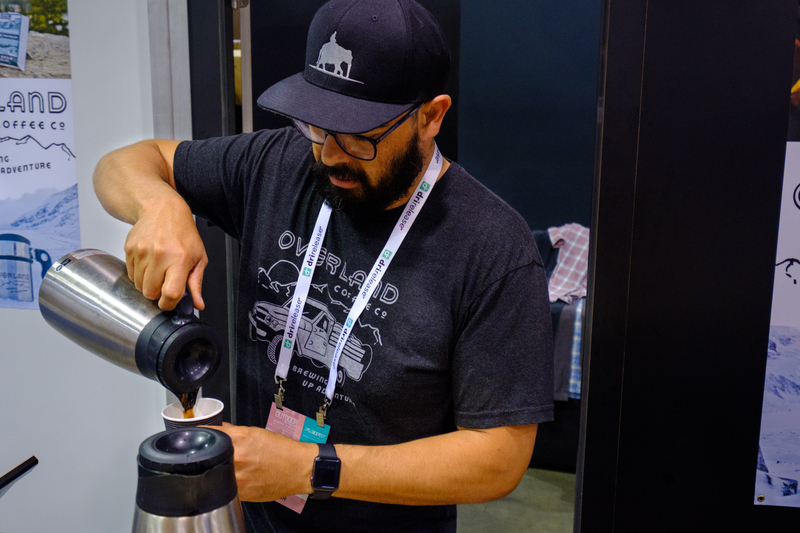 I took a mandatory coffee break over at Overland Coffee and was surprised by how good their brews were. Looks like we’ll be stocking up for our next trip. 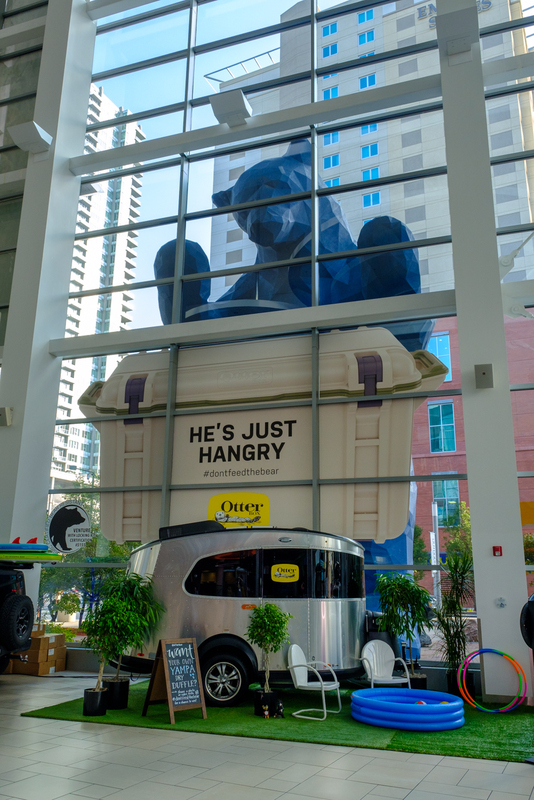 This bear might be hangry, but I think he was really looking for the tacos cooking up at the Primus booth. Alright, back to business. 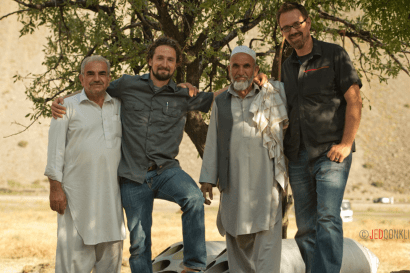 Goal Zero’s new inverter and battery pack is pure awesome for those of us that travel on planes. 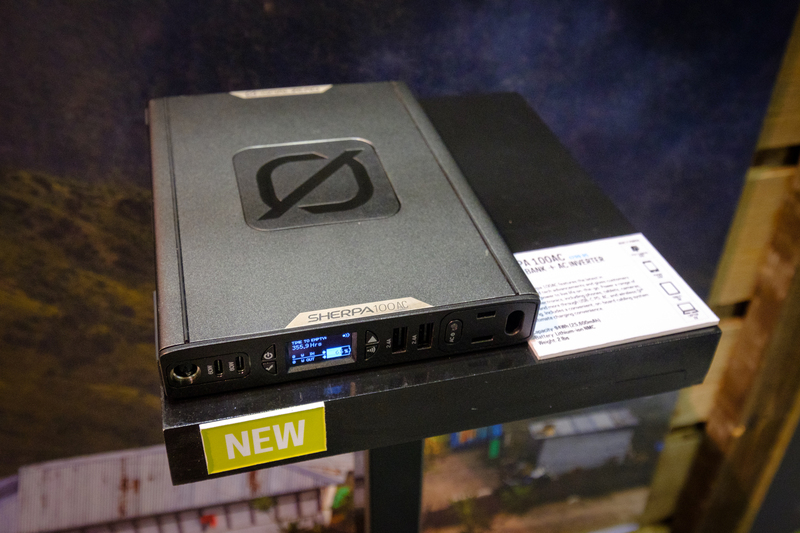 Its 100Wh lithium ion battery is the maximum size allowed by TSA, and can be wirelessly charged on the go. 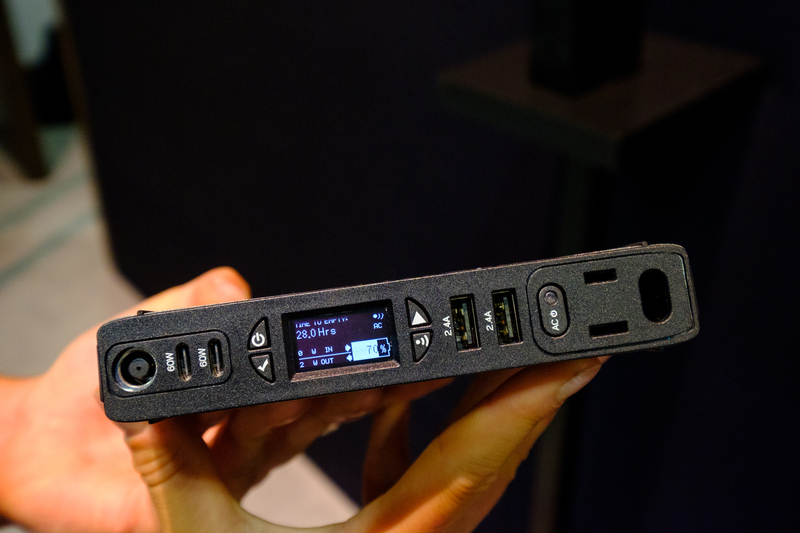 It packs USB-C input and output ports, an LCD screen with loads of various information and menus including stats on current consumption on each port, estimated life remaining, and so much more. A full charge will take 3 hours off of a wall plug, 9 hours off of a USB-A port, or 4-8 hours off of a boulder 50 panel. That full battery will charge your phone approximately ten times, and a laptop approximately two times. Pricing is set at $300 USD and will be available this September. 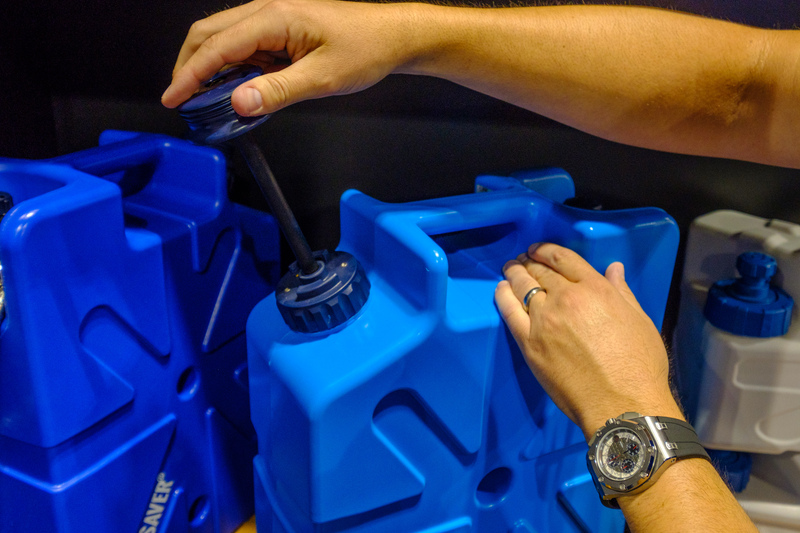 Jerry cans are great, but for the most part, they haven’t been improved since the forties. Sure, there have been some “updates” but most of those have been regulatory changes that made the product worse. Lifesaver has actually improved them though, at least the water cans. Their products feature either a 10,000 liter or 20,000 liter filter that uses hollow fiber technology to sift from 3 microns down to .015nanometers, which is enough to eliminate viruses, bacteria, cysts and parasites. 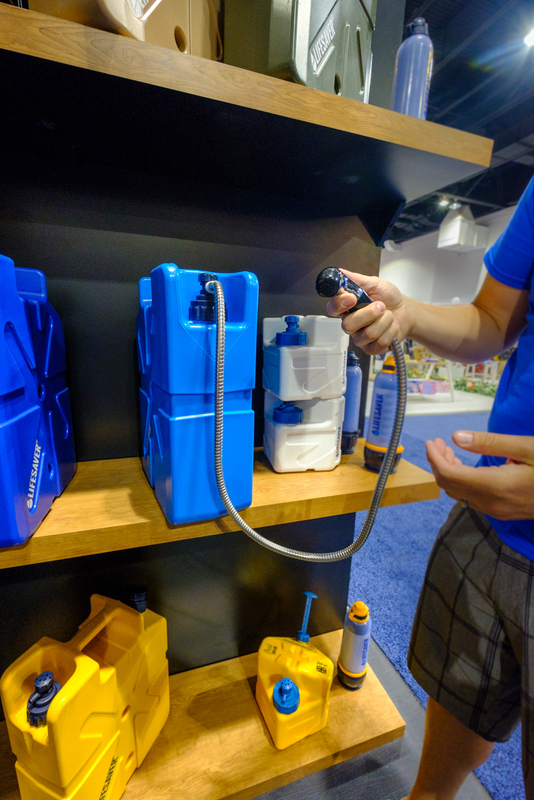 It can be pressurized and tipped on its side with a spicket, or attached to the optional shower and spray hose for easy cleaning of dishes or a fresh water shower. Prices are set at $229 USD, and you can learn more on their website here. 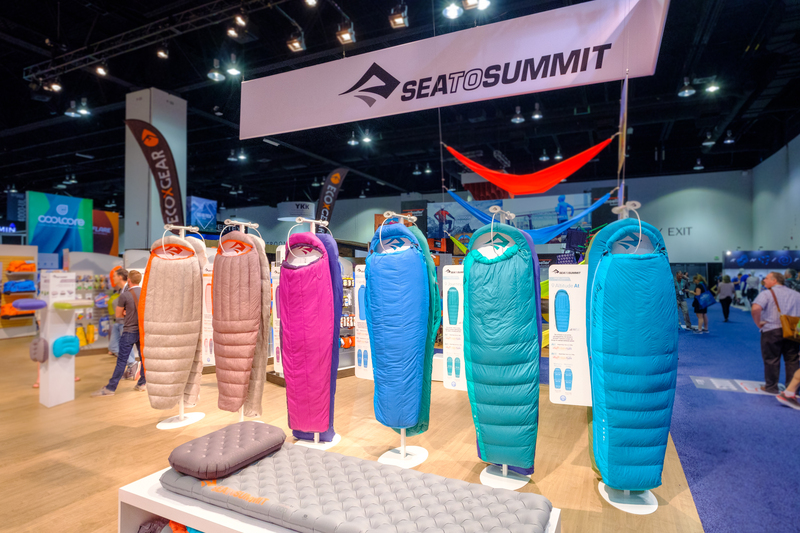 Sea to Summit Nanopack, Women’s Sleep Systems, Cook Systems, and Pack Rack. Usually when I roll into a booth and ask someone about their new products, I get one or two things to talk about. At Sea to Summit, they basically pointed out the whole display. 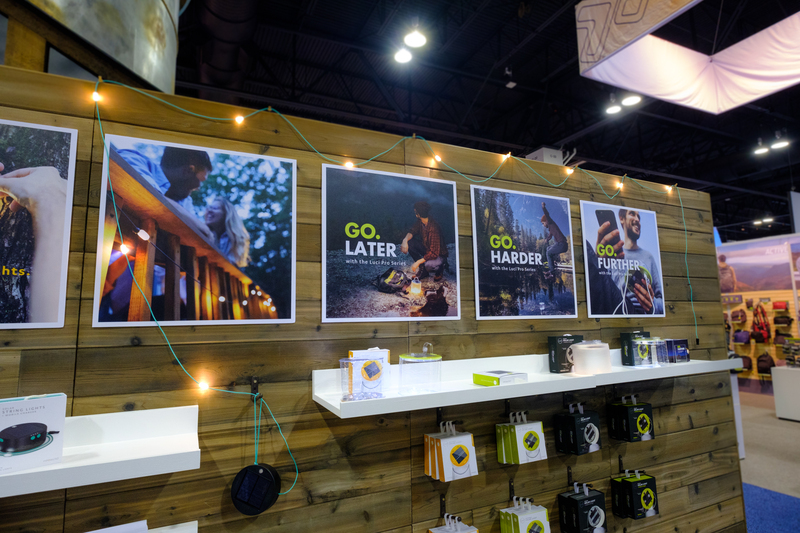 From sleeping equipment and backpacks to cooking wear and duffle bags, they were flush with new products this year. 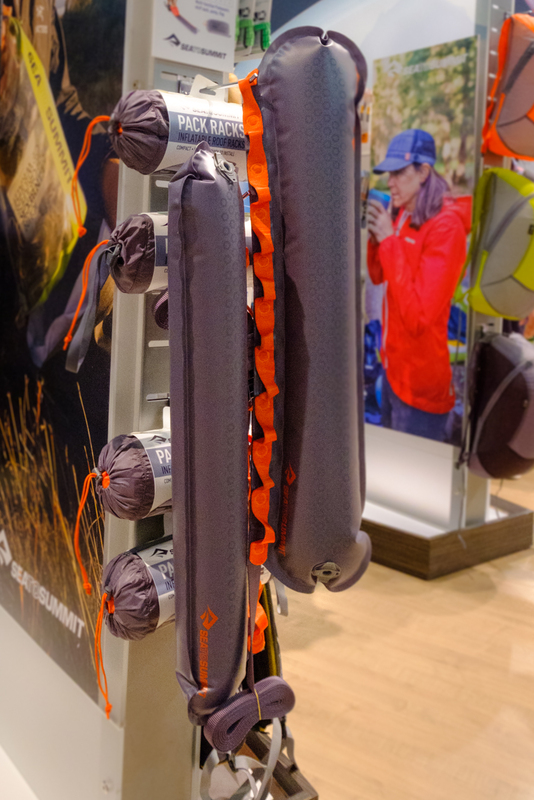 Their biggest news was the women’s specific sleep system lineup with sleeping bags and pads designed to fit their needs. 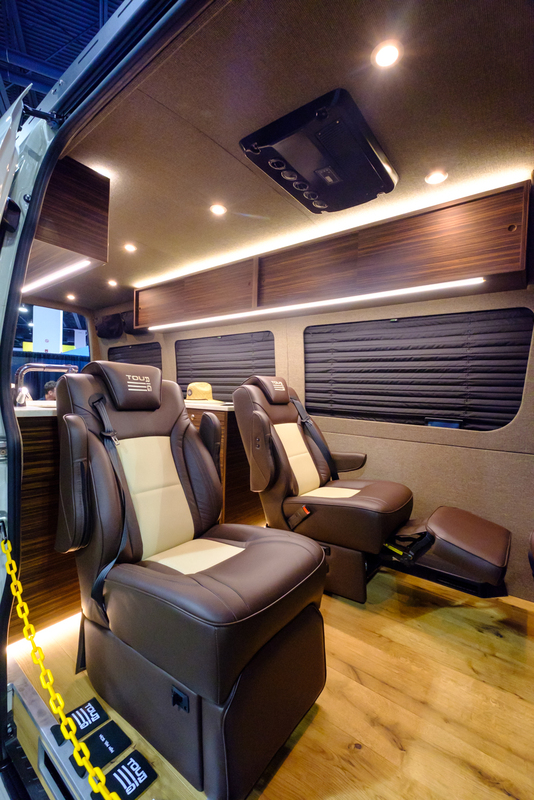 Features include a more tailored shape, shorter length, increased thermalite insulation in the three bottom baffles under the feet, and a free-flow ventilation system for temperature adjustments. 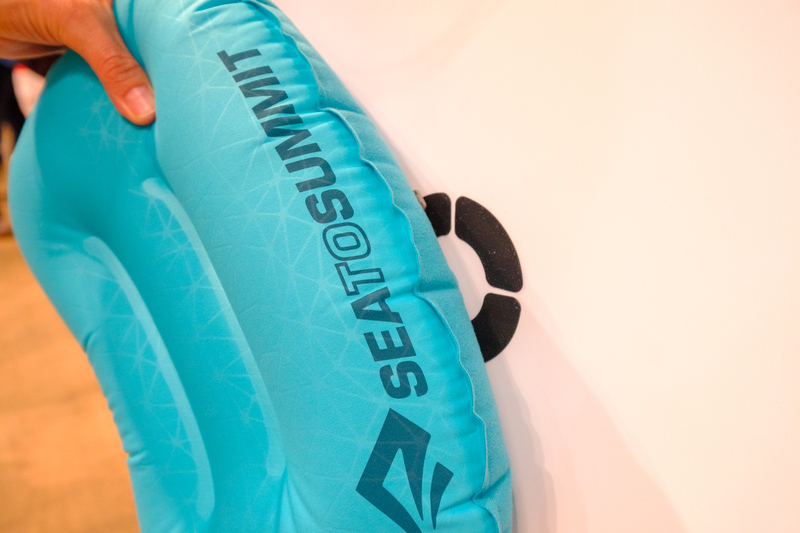 They also pack Sea to Summit’s new traction system for pillows, which grips the soft backs of their pillows in order to hold them in place on the bag. Three other products we found cool were the Nanopack, stainless steel cook set, and Pack Rack. 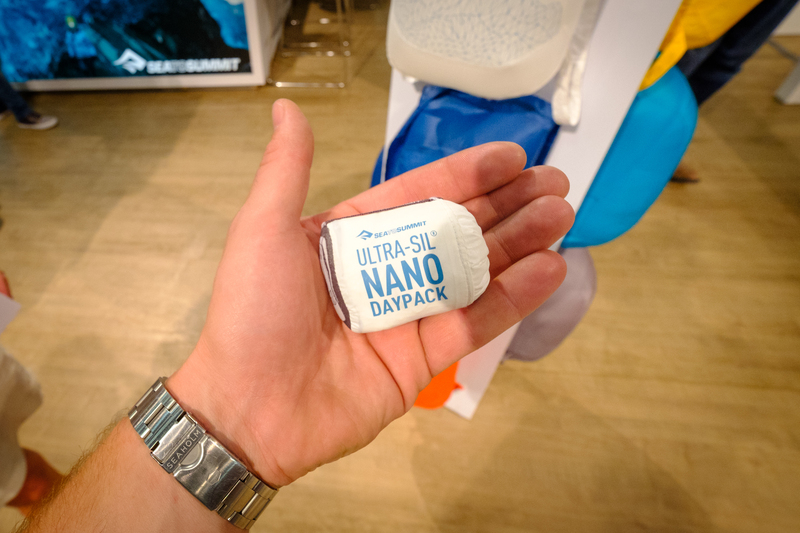 The Nanopack is absolutely tiny, like ridiculously tiny, and the perfect thing to keep in your car for those unexpected hikes down a canyon or over to a beach. Just toss some goods in it and off you go. The stainless steel cook set features the looks and durability of all the other stainless goods we love, but with a Fluxtherm coating on the bottom to prevent hot spots and burning. 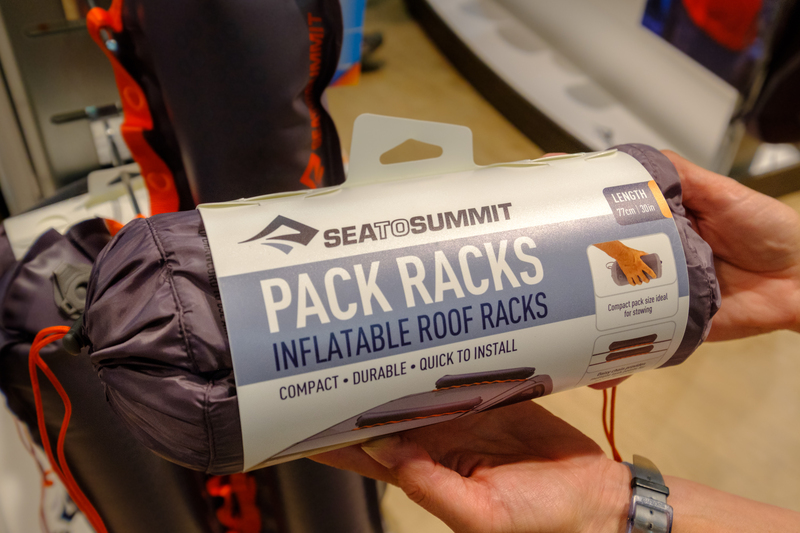 Finally, the Pack Rack is an inflatable rack that is a perfect solution for those of us who don’t want to purchase specific hardware for kayaks, paddle-boards, and canoes. Just keep this tiny pack in your vehicle, and when you need it, blow it up and throw it on the roof. 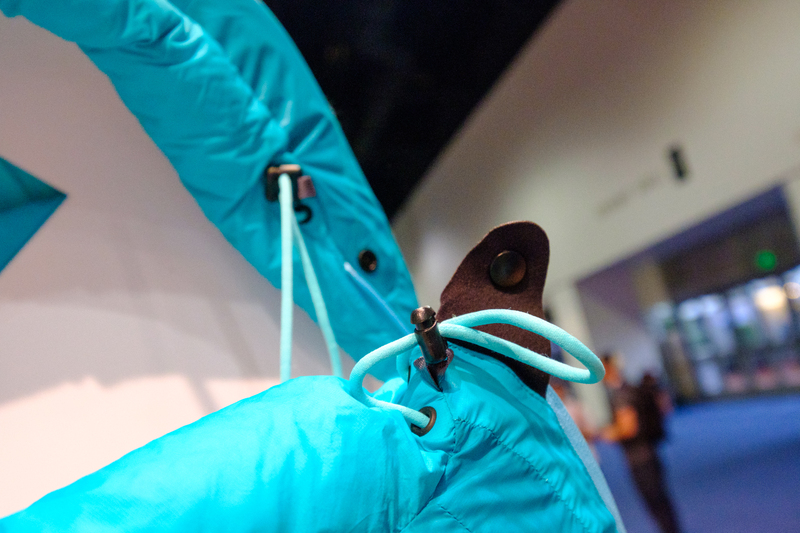 Voila, a soft and safe transport option for your gear. 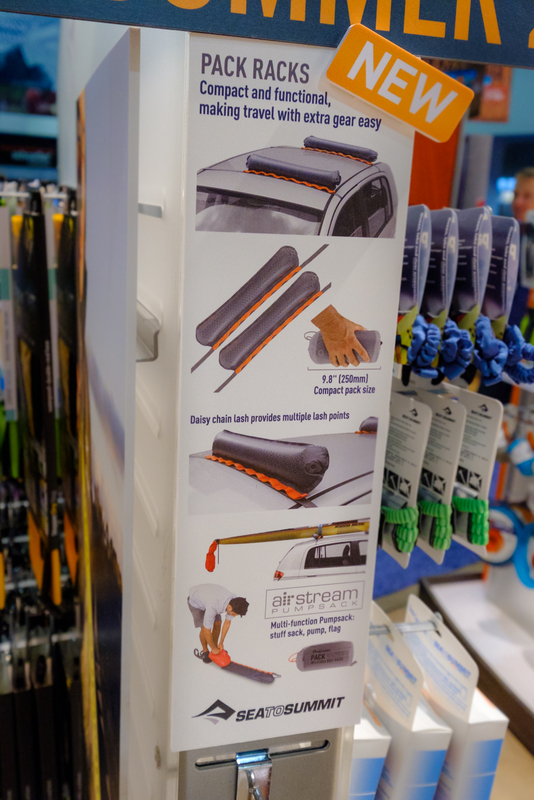 It can be used on top of your existing roof rack, or on a vehicle with no rack at all. To learn more, check out the Sea To Summit website here. 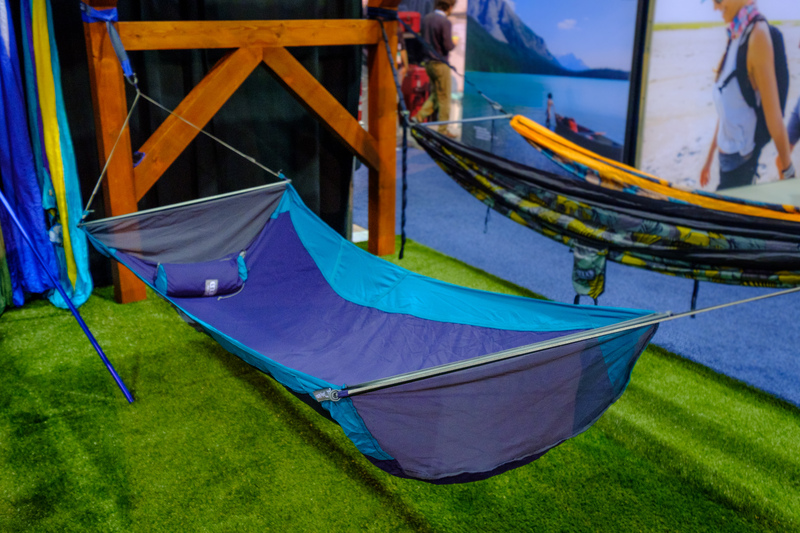 Lightweight hammocks are all the rage in the outdoor industry, but if I’m honest, I’ve always longed for the width and views of a traditional hammock. I’m talking about the big net hammocks with the wooden spreader bars, the kind you’d see at a beach resort or lake house somewhere. 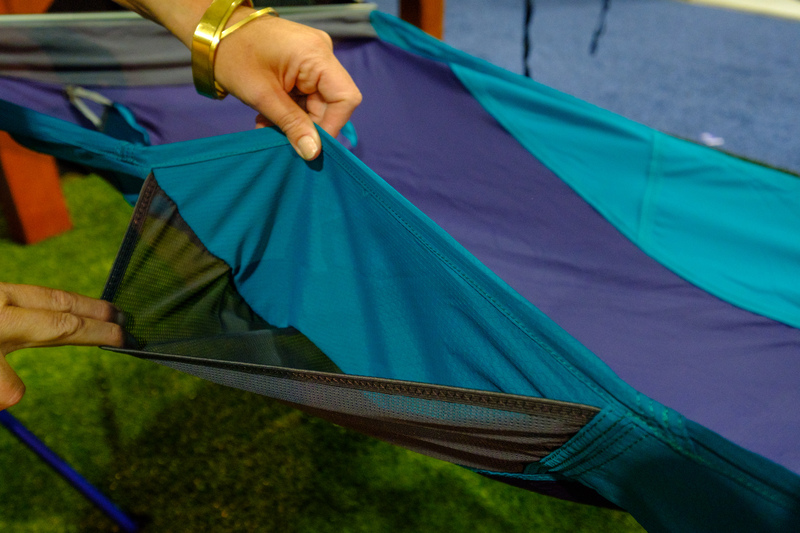 Of course, this would be wildly impractical for camping, which is why Eno has given us the next best thing. 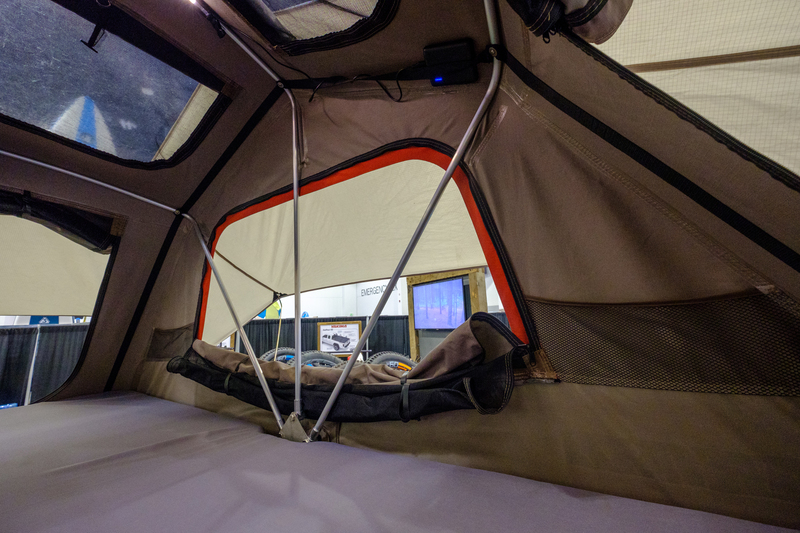 It’s called the Skyloft, and it is the perfect blend between backpacking hammocks and the enormous spreader bar hammocks. 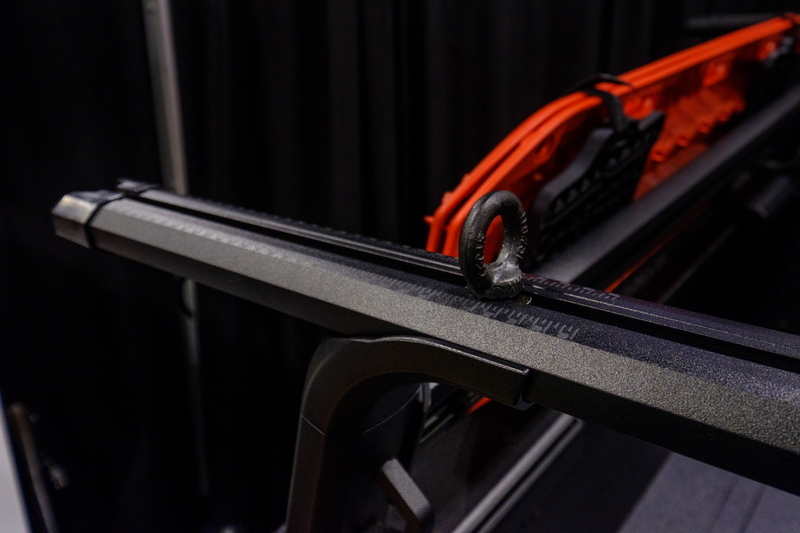 Its light-weight bars are collapsable like tent poles, and can be adjusted to give you the desired amount of width as well as head height and incline. 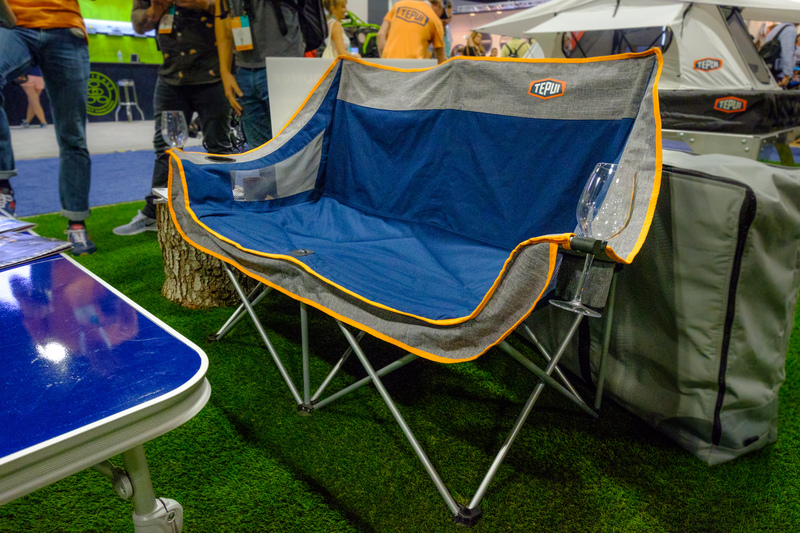 This makes it ideal for relaxing and reading a book, or taking a nap on a lazy afternoon. 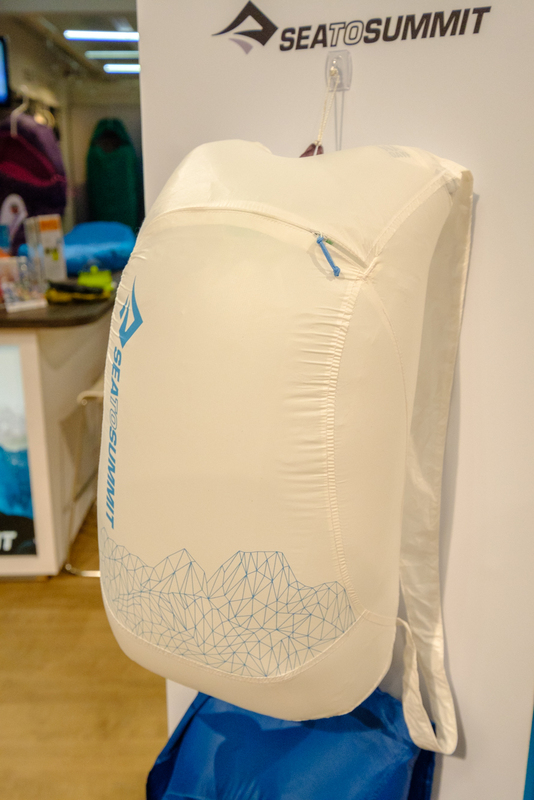 The bag can be stuffed with a jacket or shirt, and attached as a pillow behind your head. 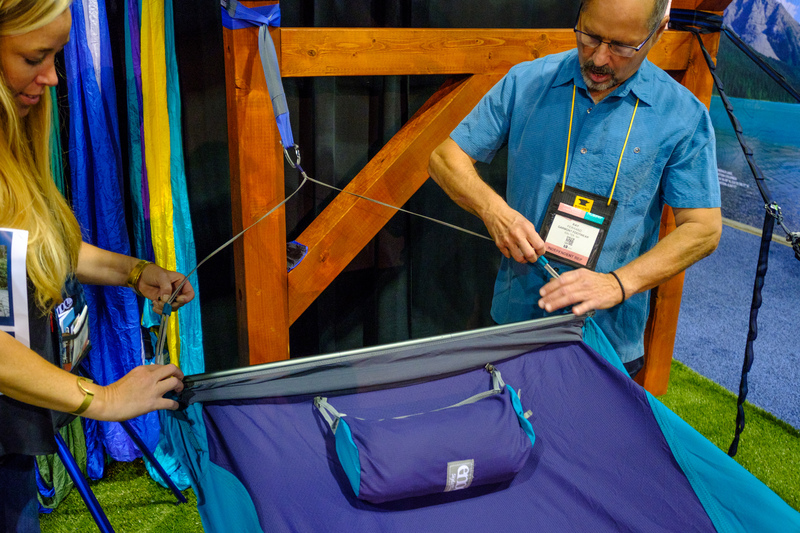 The mesh nylon is breathable for hot weather, yet durable enough to support two people as a seat, and there is a convenient storage pocket located on both sides of the hammock. The Skyloft is slated for a January 2019 release, and that can’t come soon enough. To learn more about Eno, check out their website here. 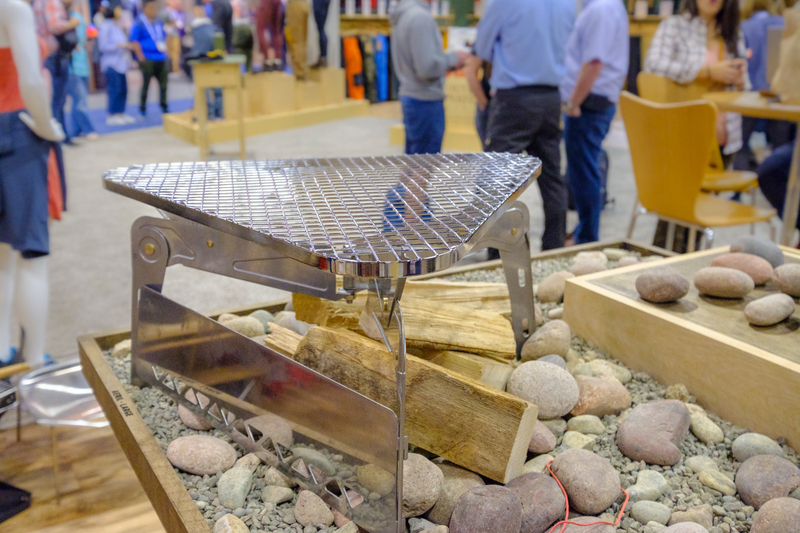 There’s something very primal about cooking over an open flame, but toting around a giant grate to put over your bonfire is less than convenient. That is unless you have a new Primus Aeril of course. 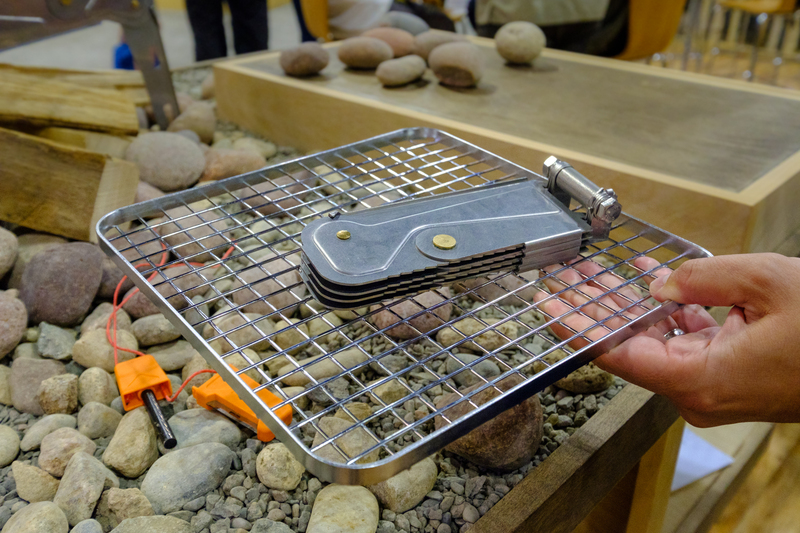 This folding cooking system is made from stainless steel and packs down to a size suitable for a backpack. It weighs between 42 and 84 ounces depending on the size you choose, and comes with a height adjustable grill grate. 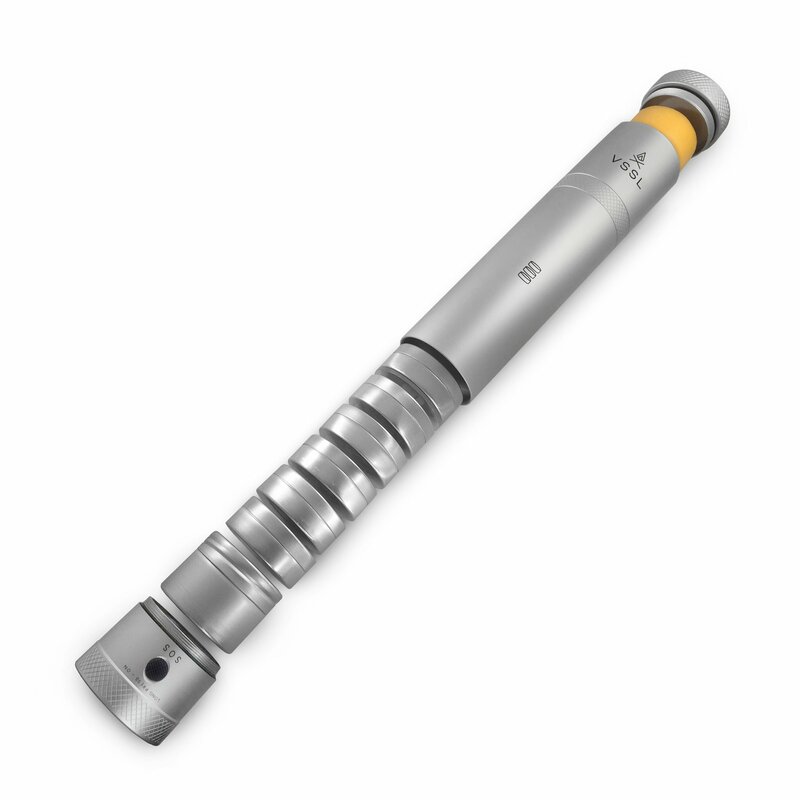 To learn more about Primus and their awesome products, check out their site here. 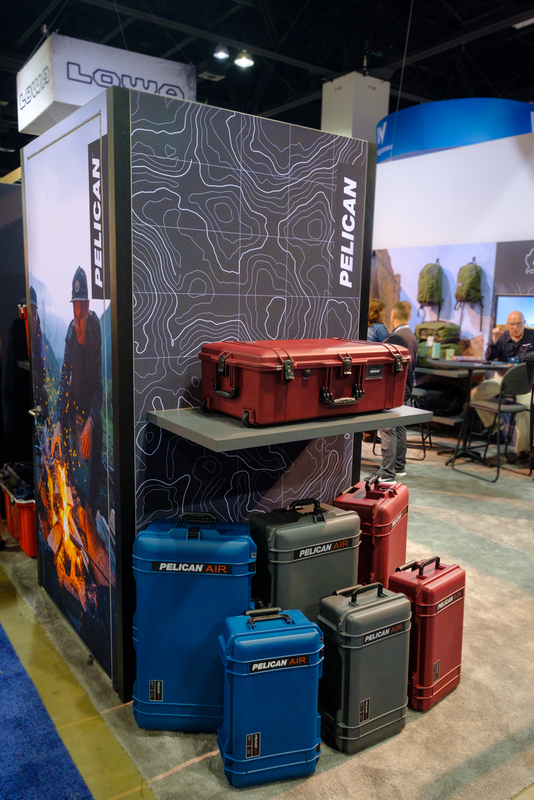 We’re all familiar with the brutally tough, waterproof, shockproof cases made by pelican, which means we’re probably also familiar with just how heavy they can be. Well, there’s good news on that front. 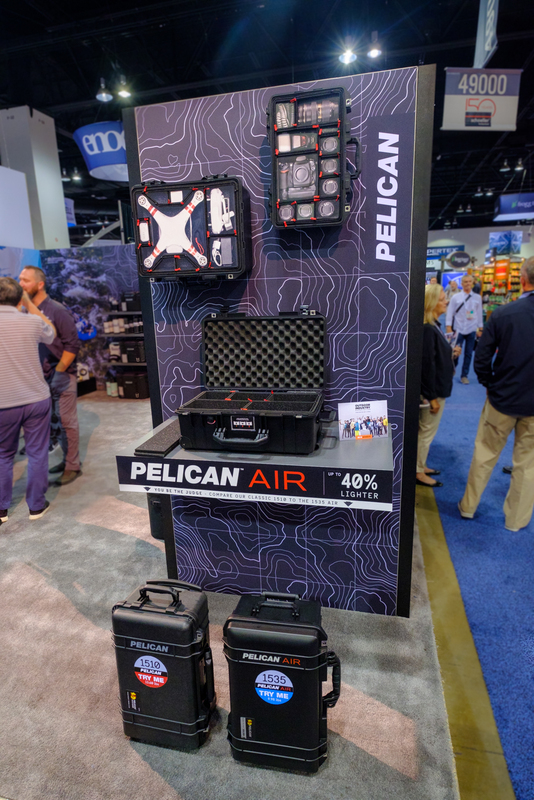 Pelican has just released an all new set of boxes called Pelican Air, which pairs almost all of the ruggedness of the original pelican cases with a 40% weight reduction. 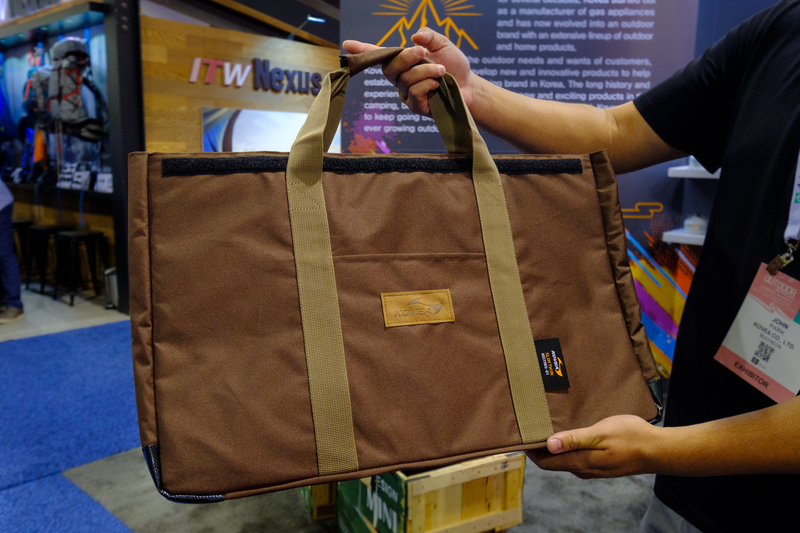 This new luggage series also comes in a new variety of colors, which you can see below. 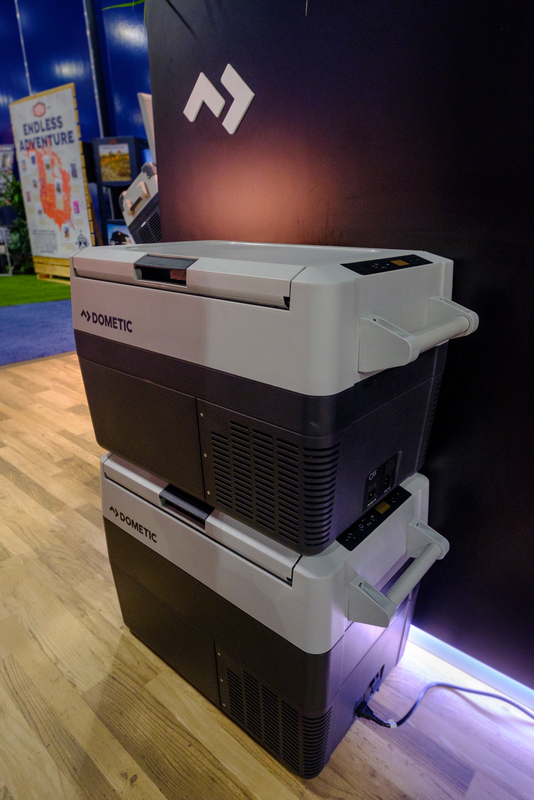 The all new Air cases are scheduled to launch in March of 2019. To learn more, visit their website here. 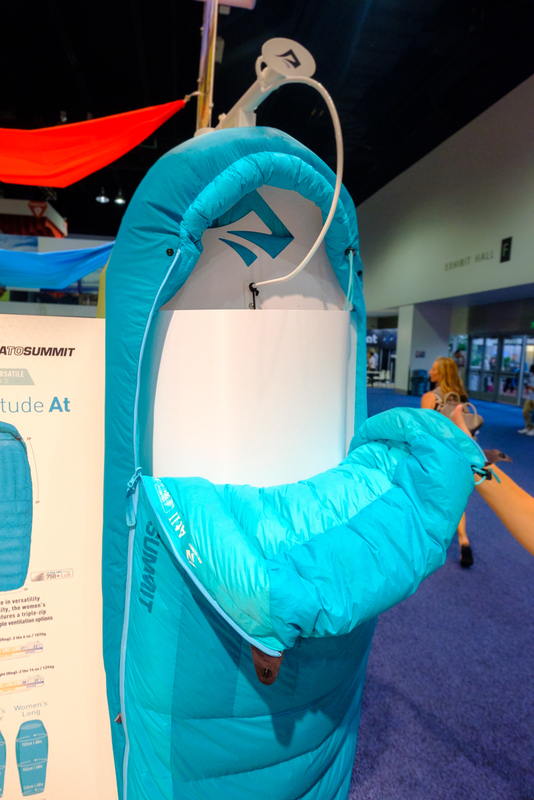 I like Kelty’s willingness to tell it like it is, straight forward with no B.S., and this product might be the epitome of that. Their G.Y.S.T. 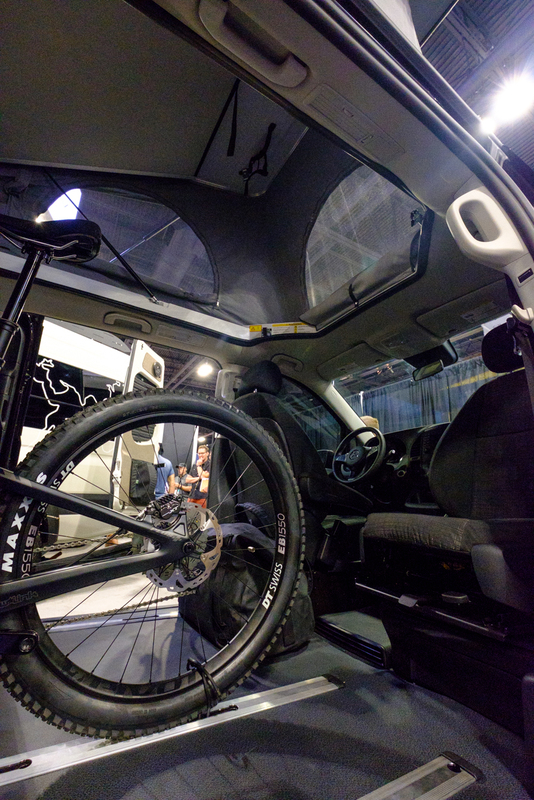 line is a simple organization system for vehicles that features durable fabrics, nesting collapsable bags with wire rims, and soft sided coolers. The bags come in four sizes, the Big G, Original G, Little G, and Wee G, which cost $89.95, $39.95, $19.95, and $11.95 respectively. Well done Kelty, simple, fun, effective. 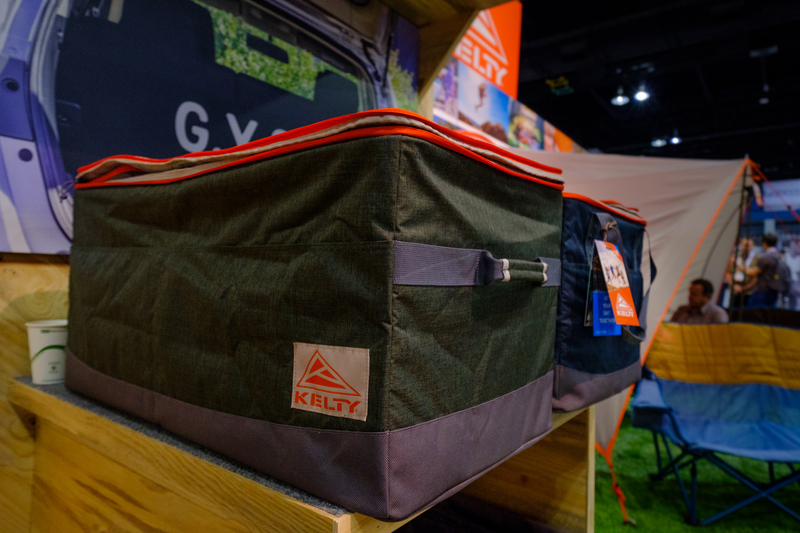 To learn more about Kelty, check out their website here. 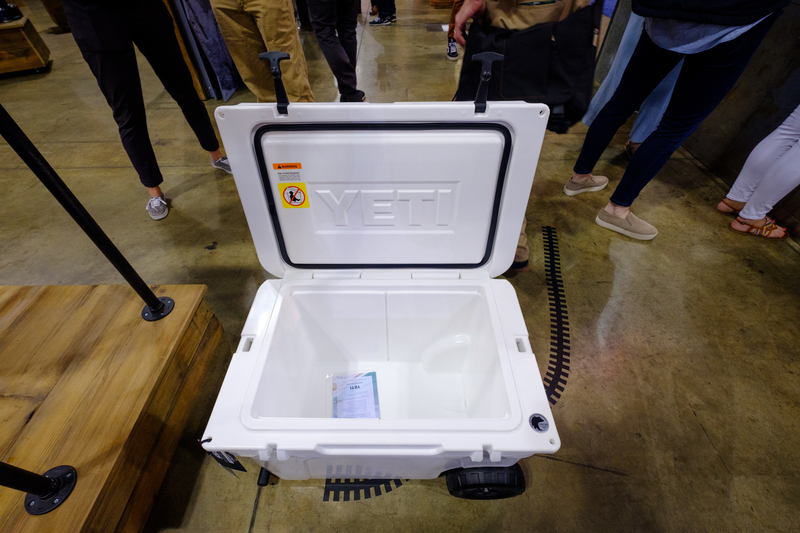 This year marks the tenth anniversary of the Yeti Tundra line, and to celebrate the company has released a cooler that customers have bee requesting for some time. 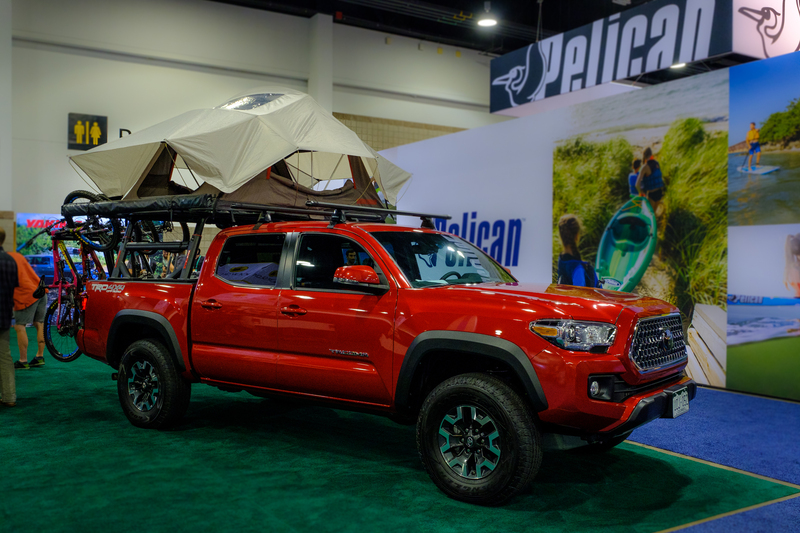 It’s a 43L Tundra fitted with wheels in order to make it easy to move around camp, haul to the tailgate, or shift across the backyard. Unlike most rolling coolers though, this one features completely independent axles on heavy-duty bearings, no cheap thru-bolt steel on plastic wheels here. 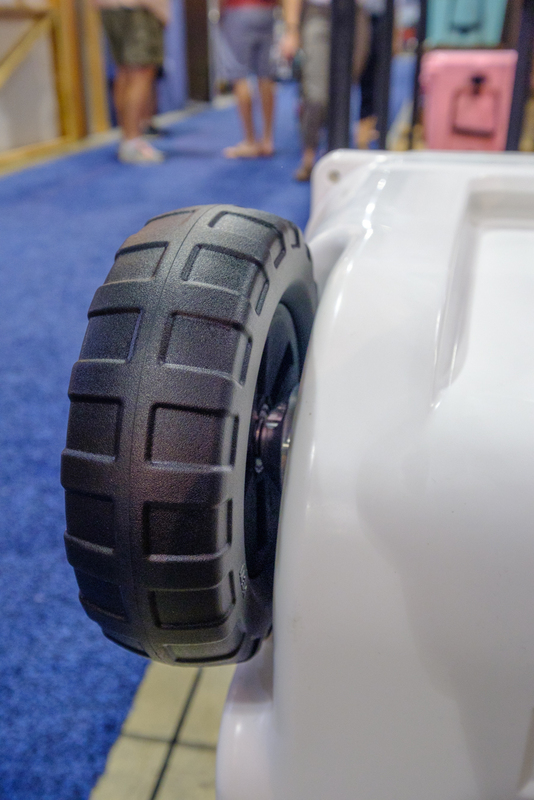 The durable rubber wheels are tough but pliable, which allows them to roll over terrain easily and quietly. 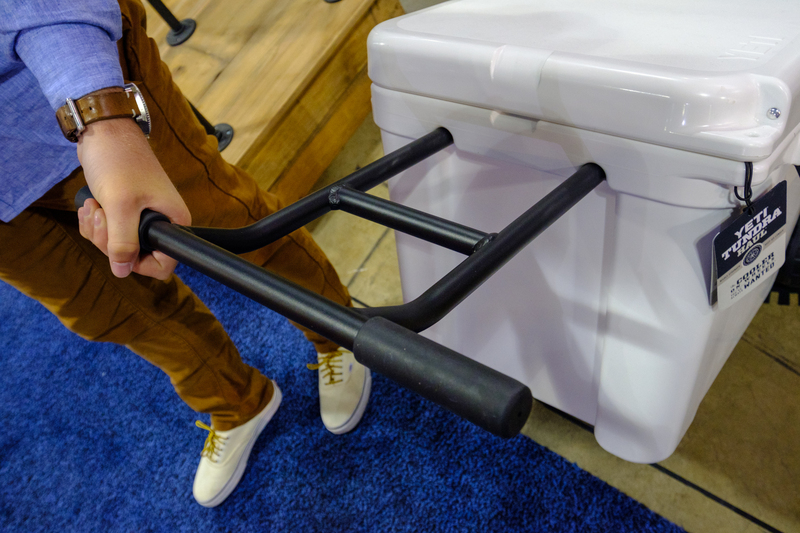 The handle is welded and powder-coated with comfortable grips, and wide enough so that you don’t kick the cooler while toting it. In the realm of rolling coolers, the Tundra Haul is undoubtedly king. Pricing will be set around $400 USD. 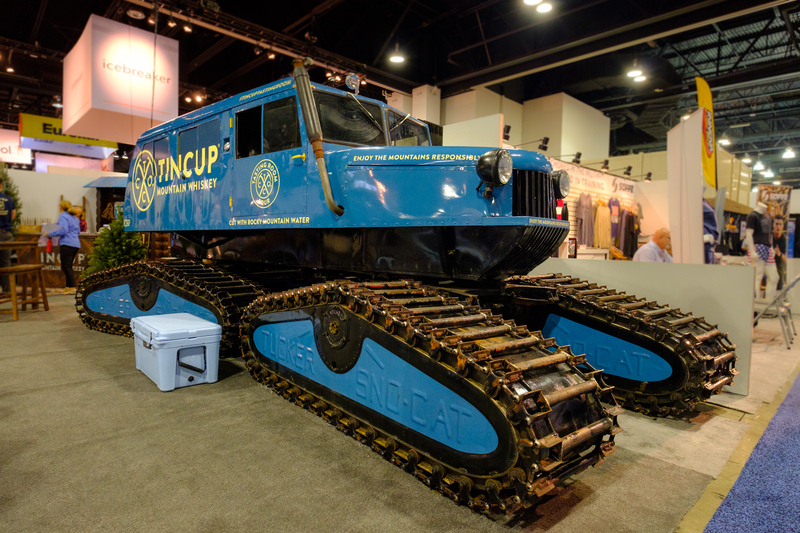 To learn more about Yeti, visit their website here. 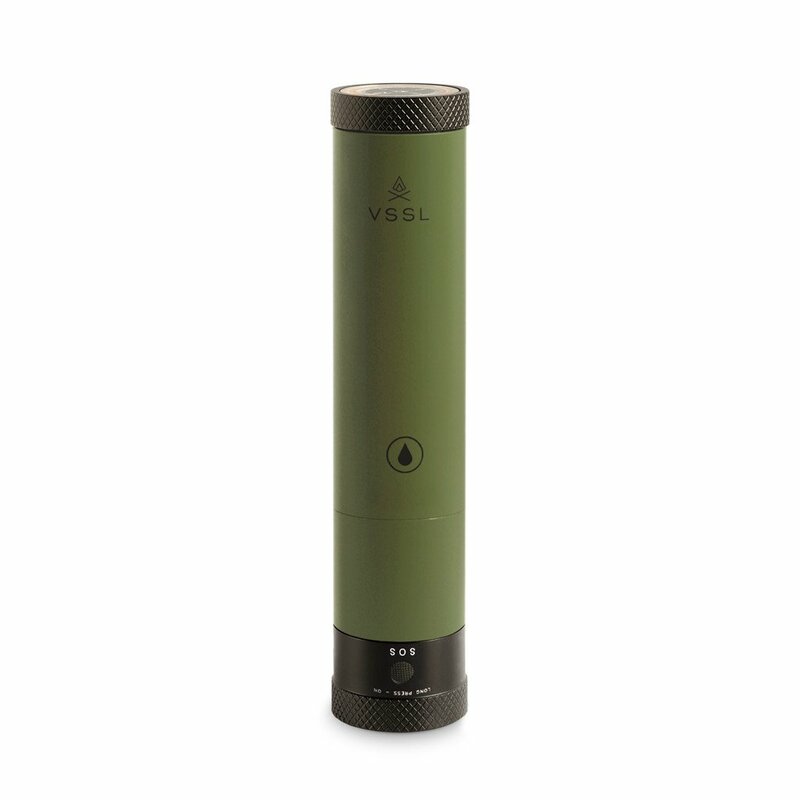 VSSLs are high powered LED flashlights with different brightness settings, strobes, and red lights for night navigation, but they are also so much more. 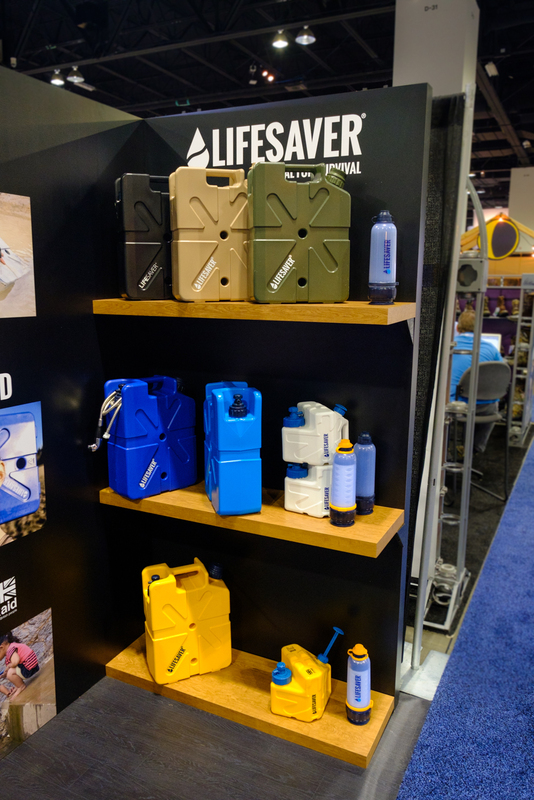 Inside the three different packages you’ll find entirely unique kits for medical emergencies, survival situations, and social celebrations. 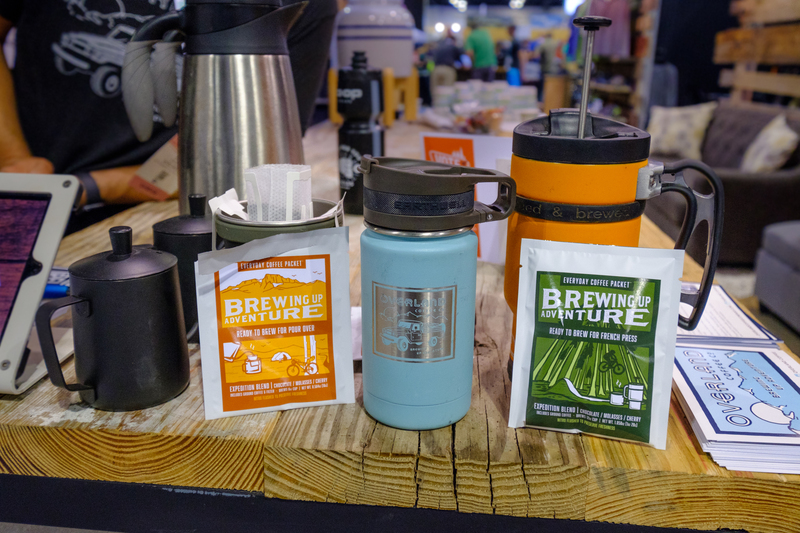 Contents can include first aid supplies, an entire shelter, can openers, fire starters, fishing tools, trail markers, a wire saw, or just two shot glasses and a tin of whiskey, whatever suits your style. 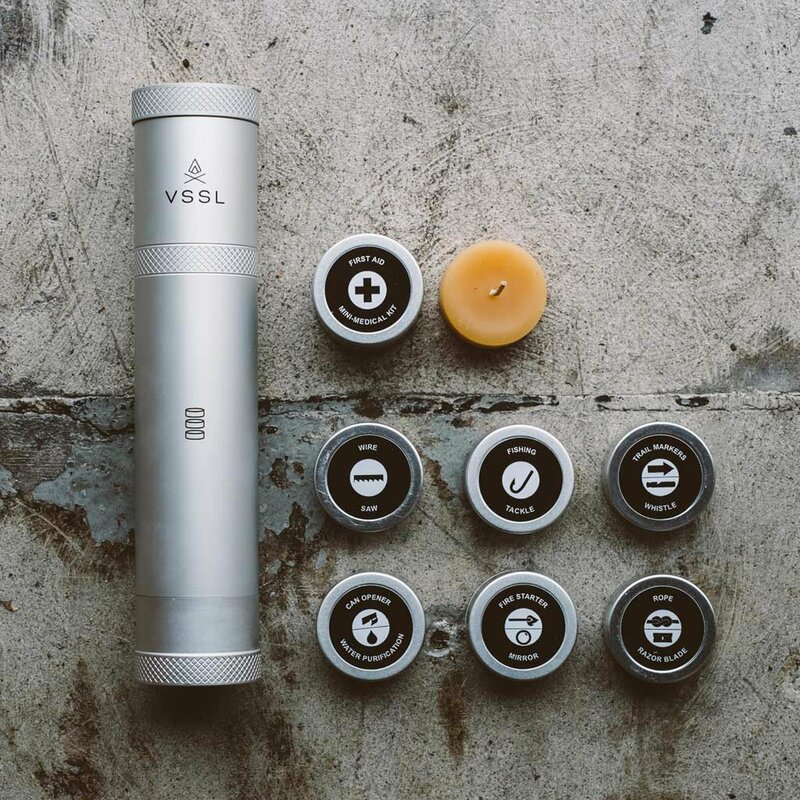 Each can be equipped with a flashlight on one end and a compass on the other, and the contents, which are organized neatly in tins, can be custom picked online or preselected. Our photos couldn’t do this product justice, so we snagged a few from the website, which you can view here. Be sure to check out the build your own section, our personal favorite!